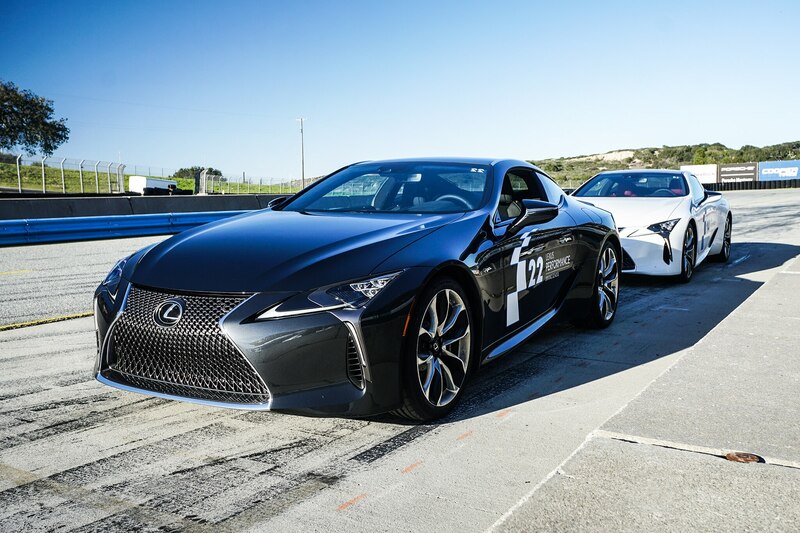 Also we managed to call Danny Sullivan “Ed,” so there’s that. 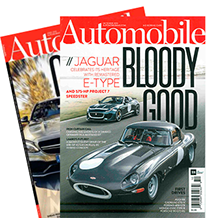 According to the National Highway Traffic Safety Administration, 37,133 lives were lost on U.S. roadways in 2017. 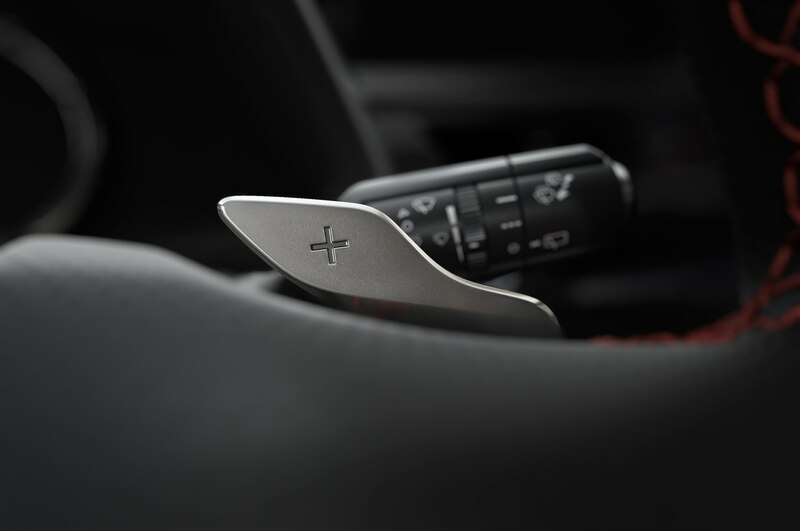 Of that staggering death toll, speed was cited as a factor in 9,717 incidents and drunk-driving in 10,874. 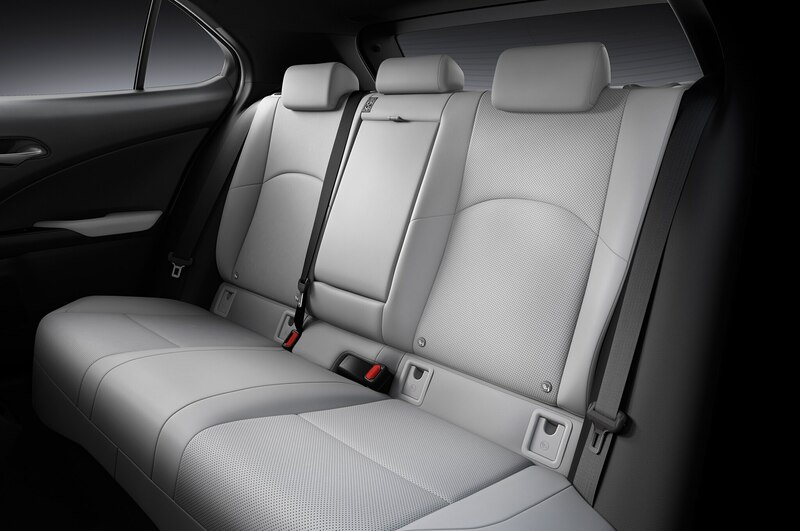 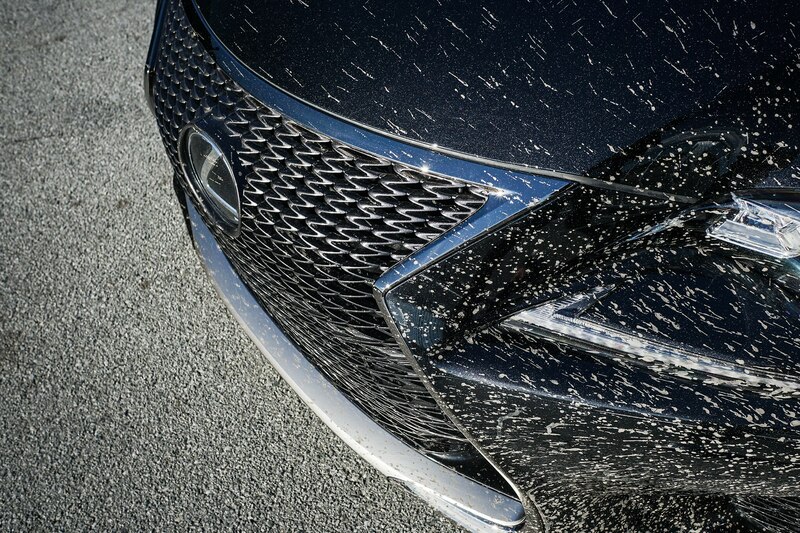 What caused the other 16,542 fatal car accidents? 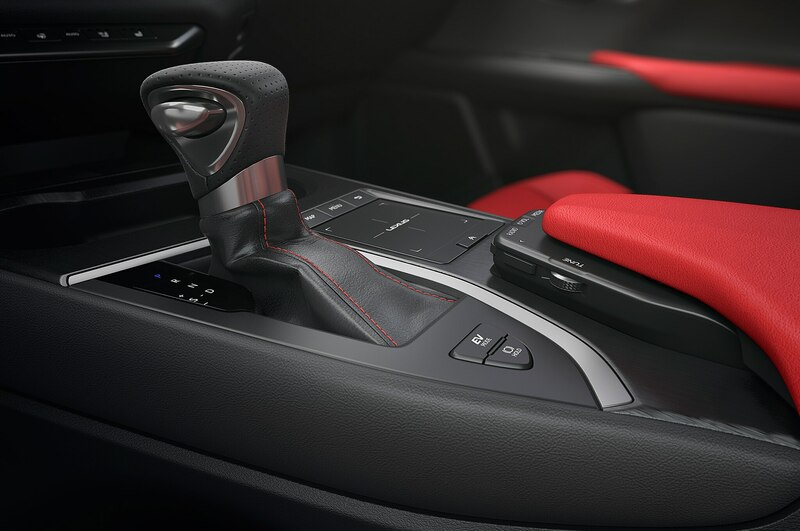 Distracted or drowsy driving, not wearing seatbelts, or road hazards certainly played large roles, but I believe cases of driver error—which is to say a lack of proper driver’s education—account for their fair share. 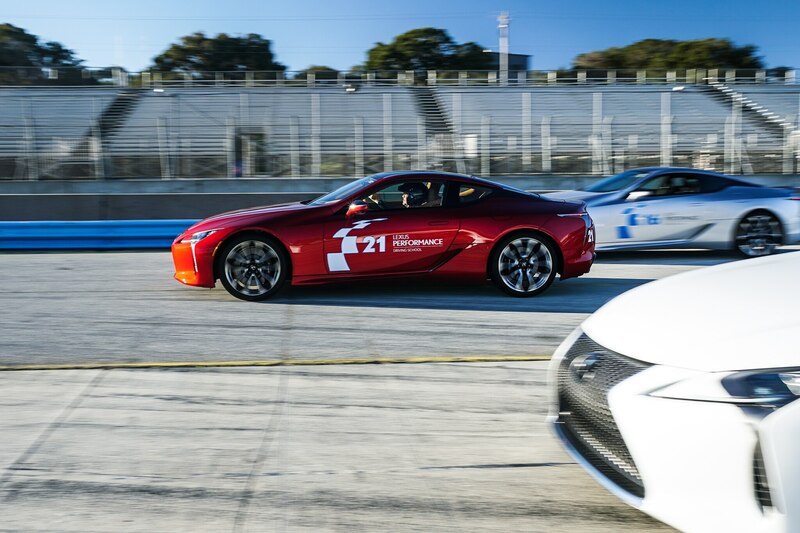 Until we live in a society where autonomous cars do all the driving, there are schools to help mitigate the issue and teach critical behind-the-wheel lessons. 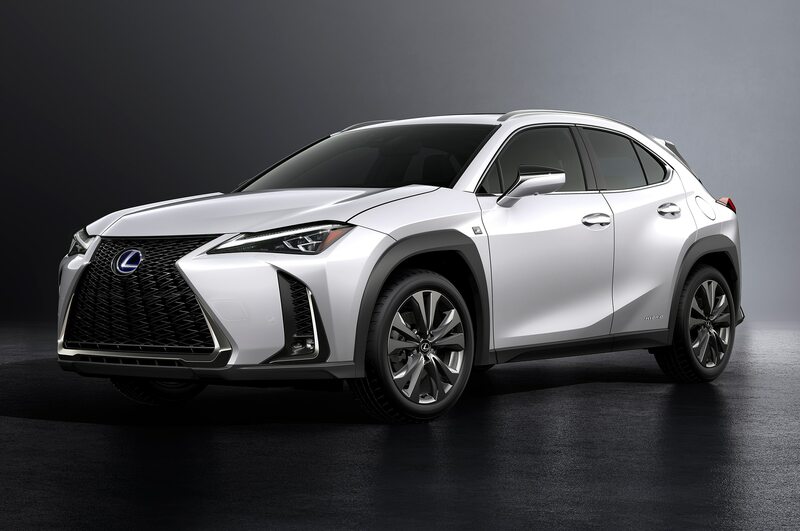 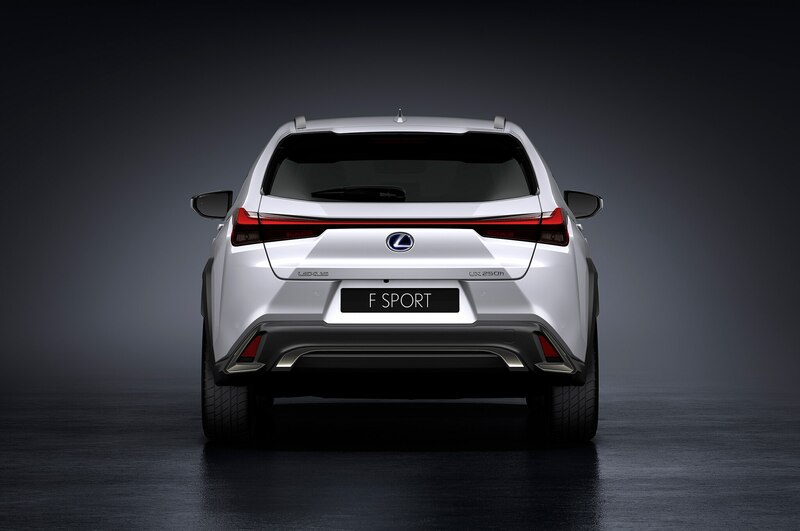 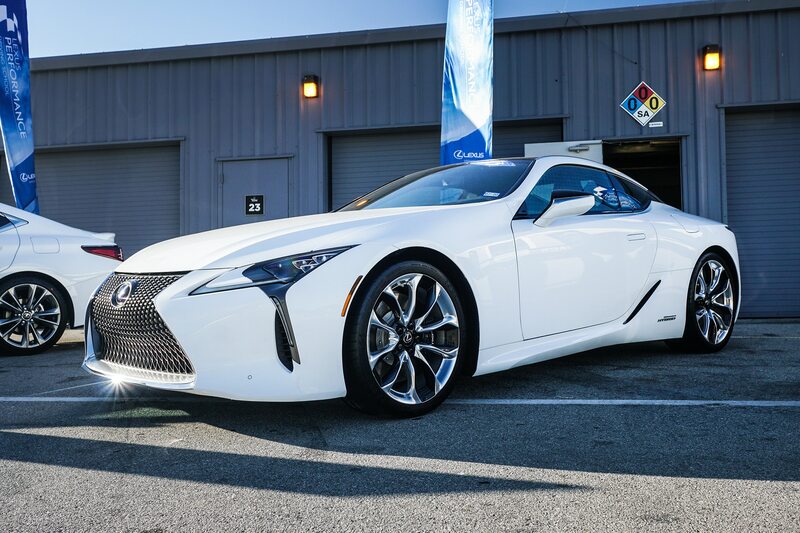 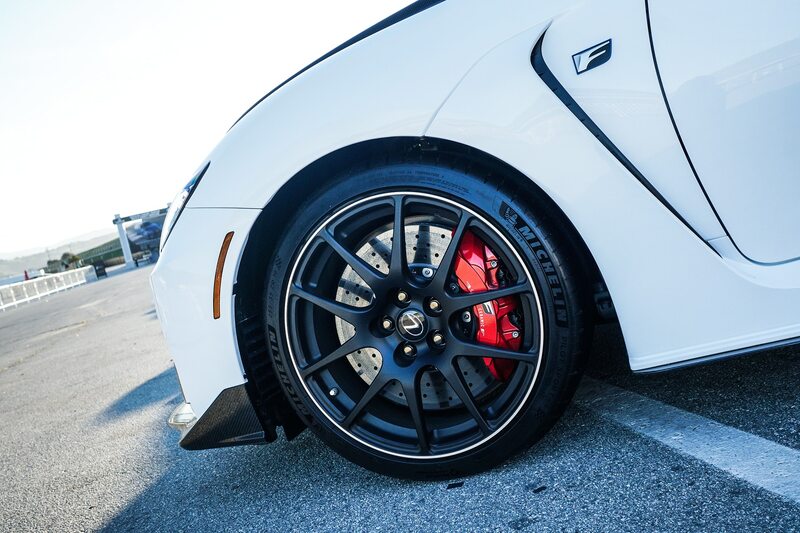 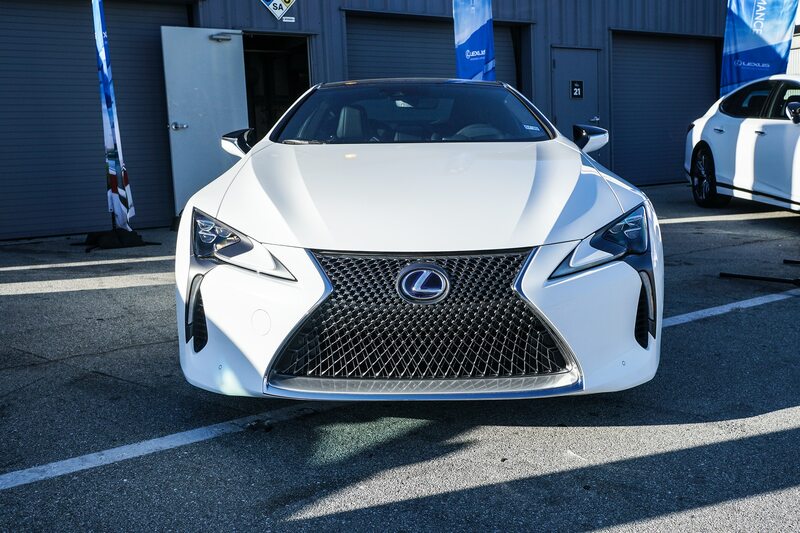 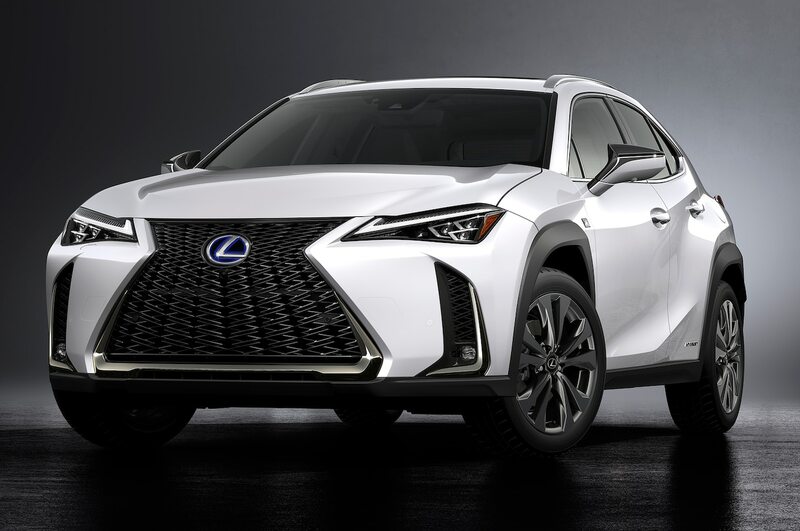 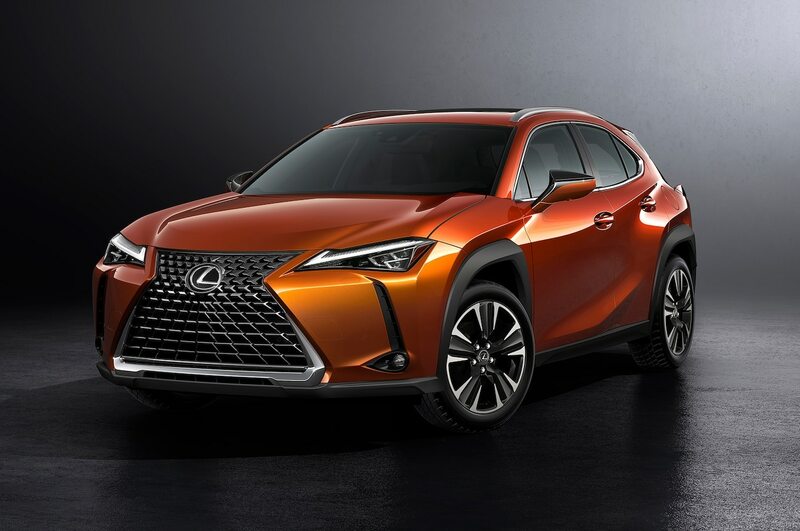 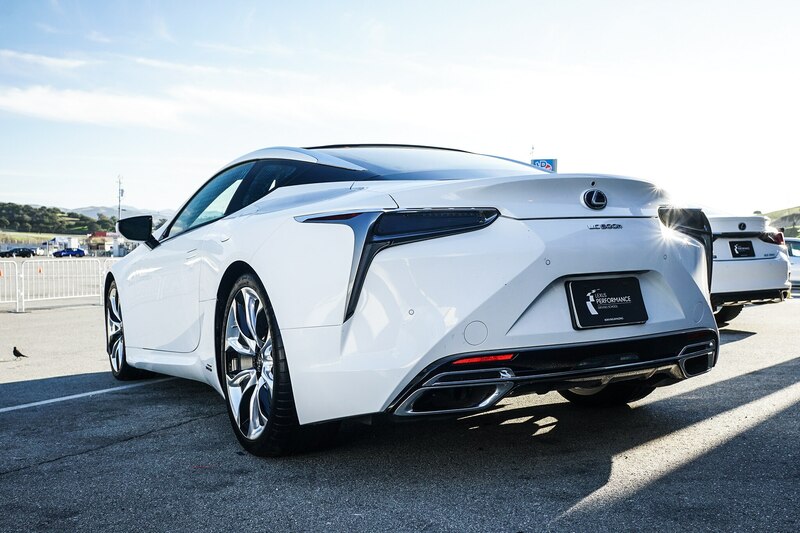 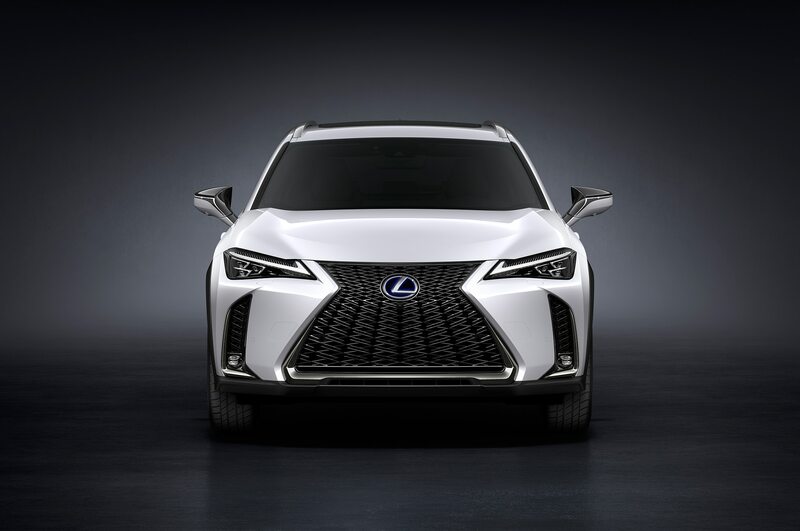 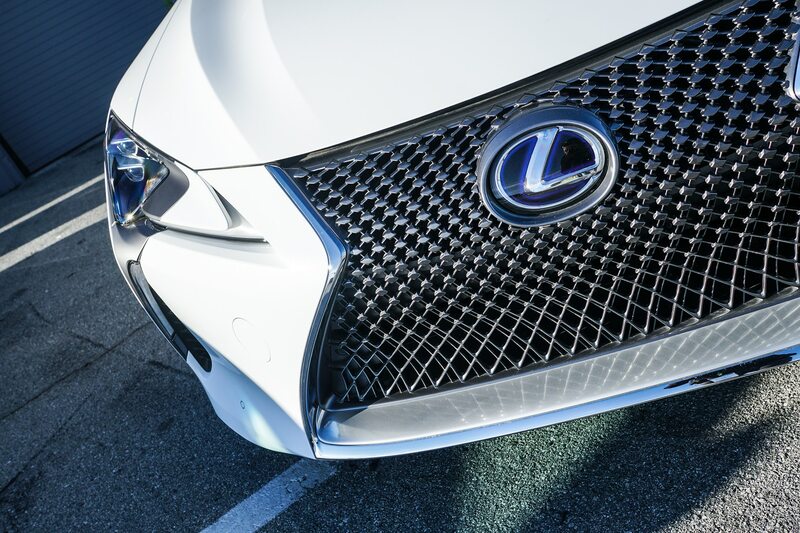 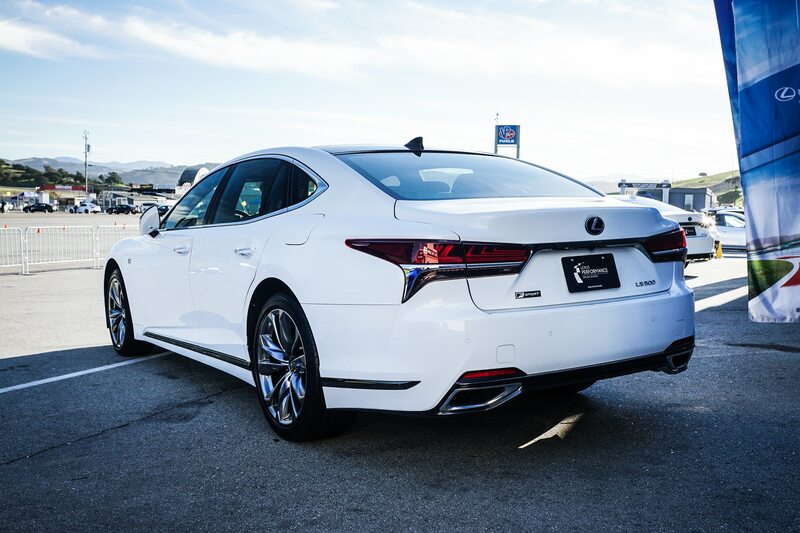 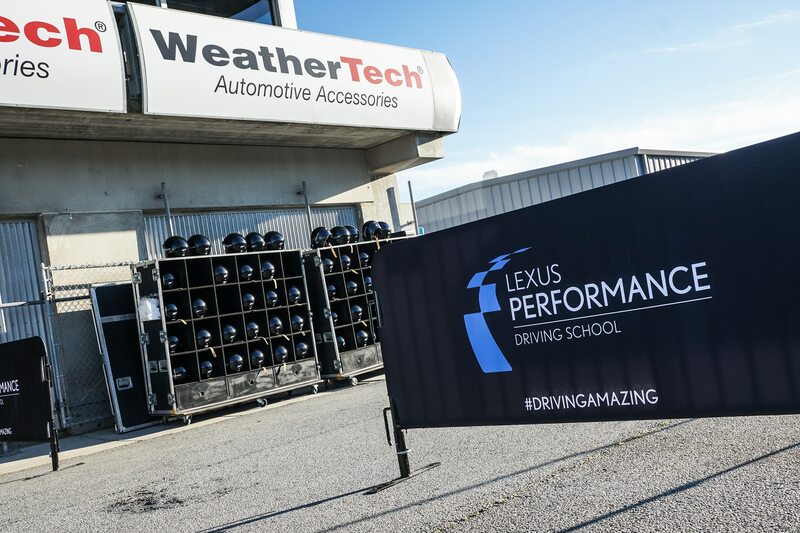 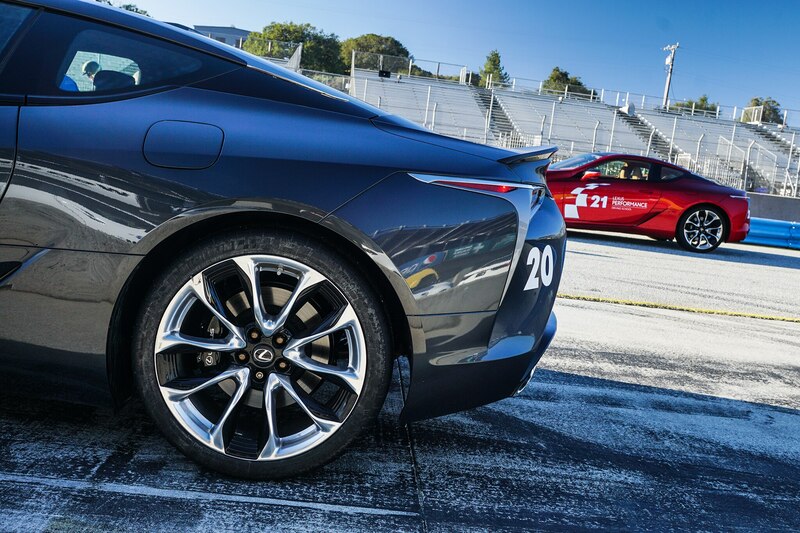 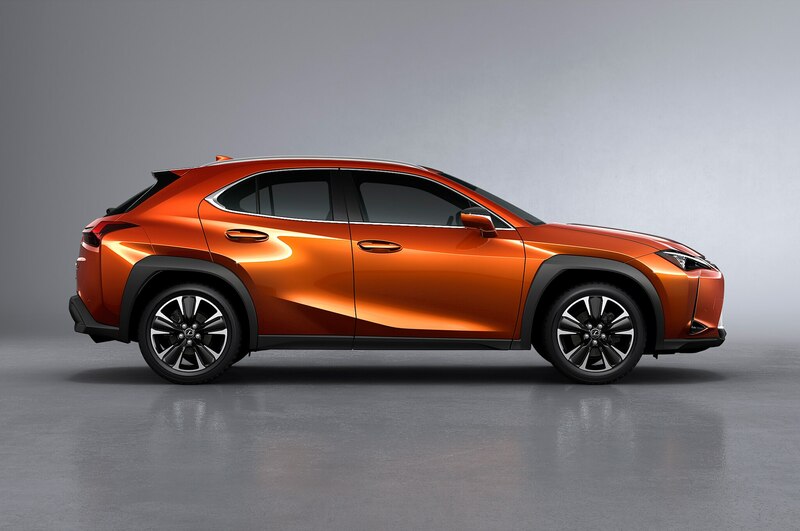 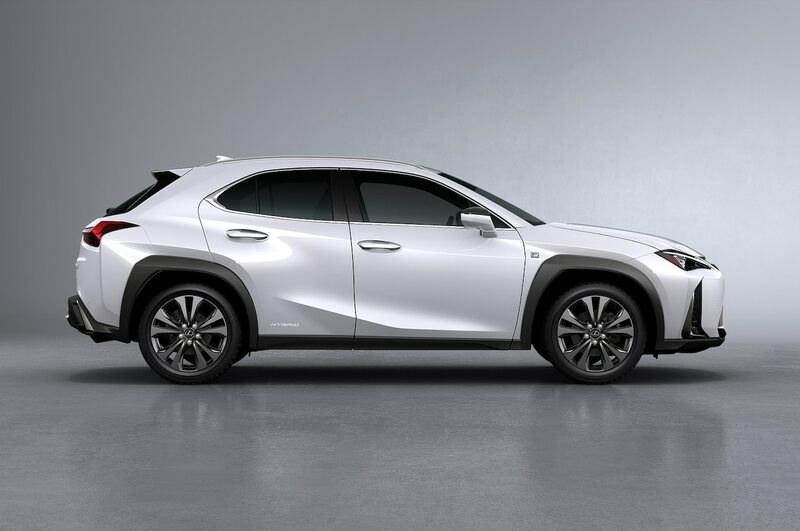 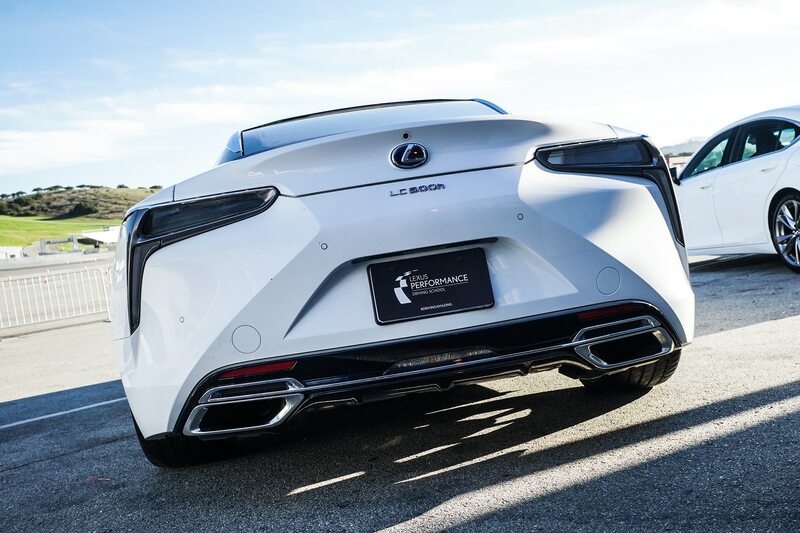 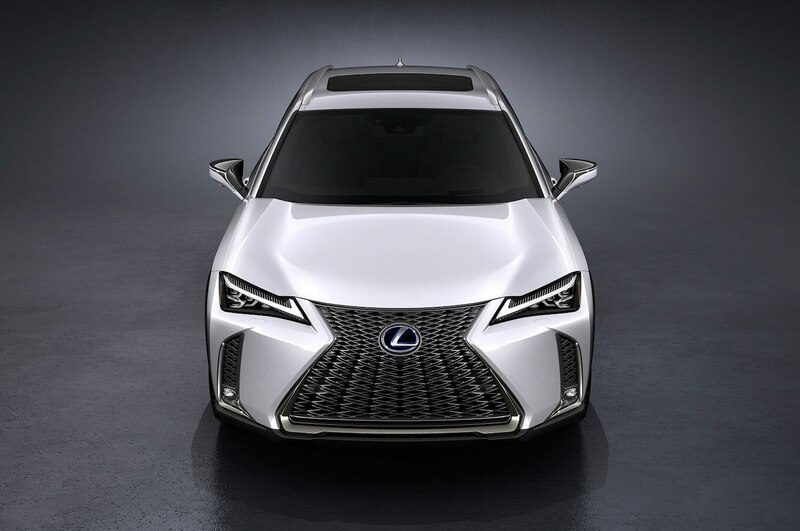 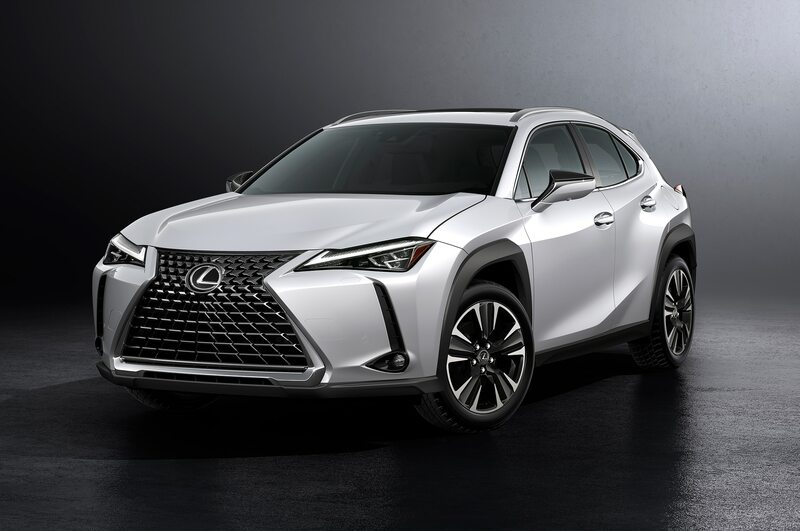 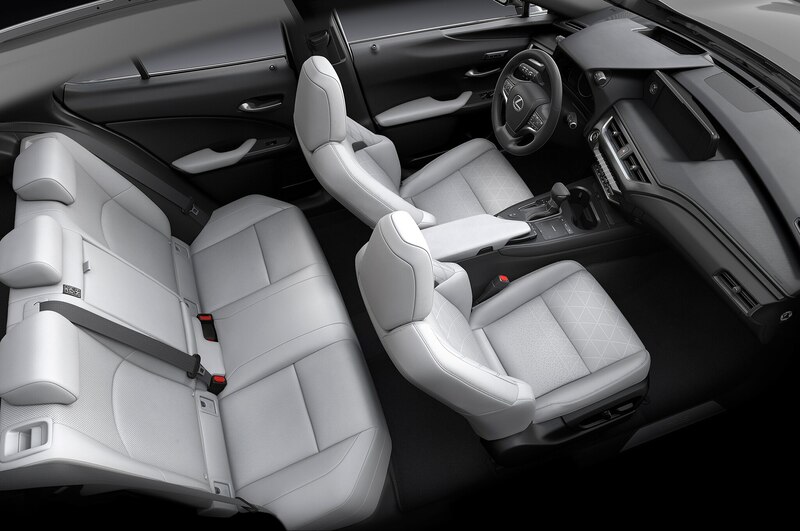 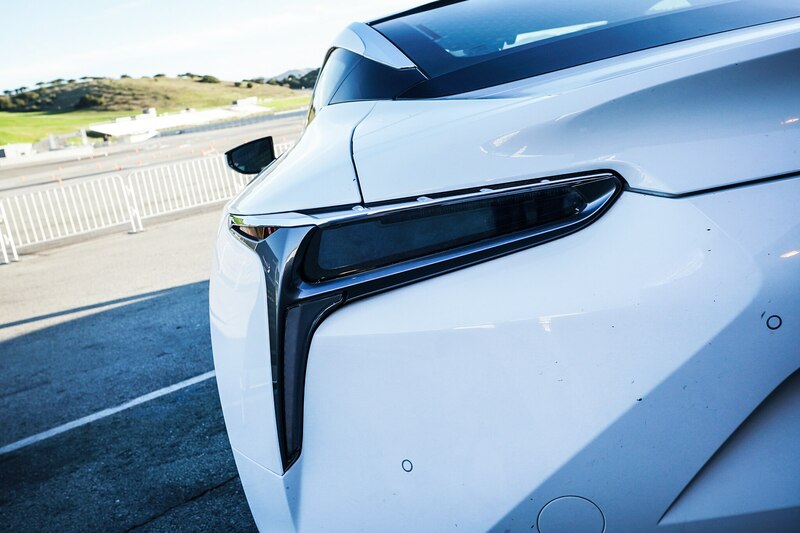 We just attended the Lexus Performance Driving School, which teaches you to handle performance cars, sure, but also equips students with the defensive driving skills that can help them stay safe on the road. 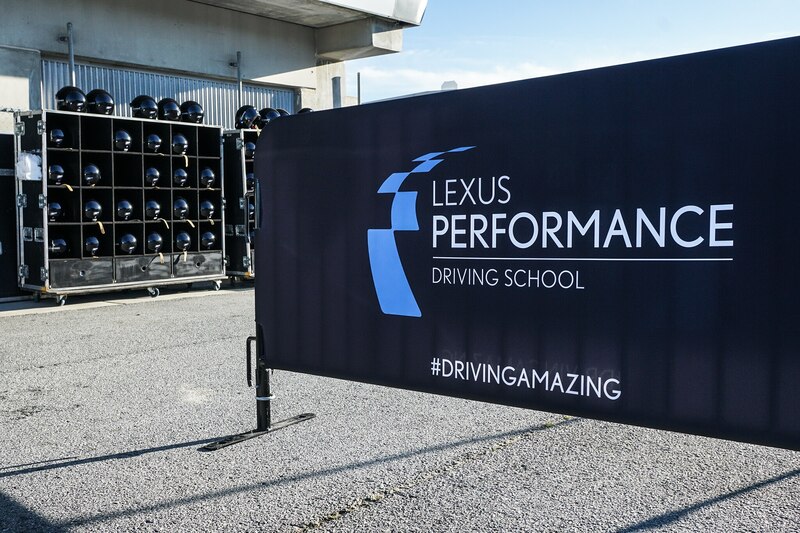 Attending the Lexus Performance Driving School costs $995, and you must be at least 21 years old and hold a valid driver’s license. 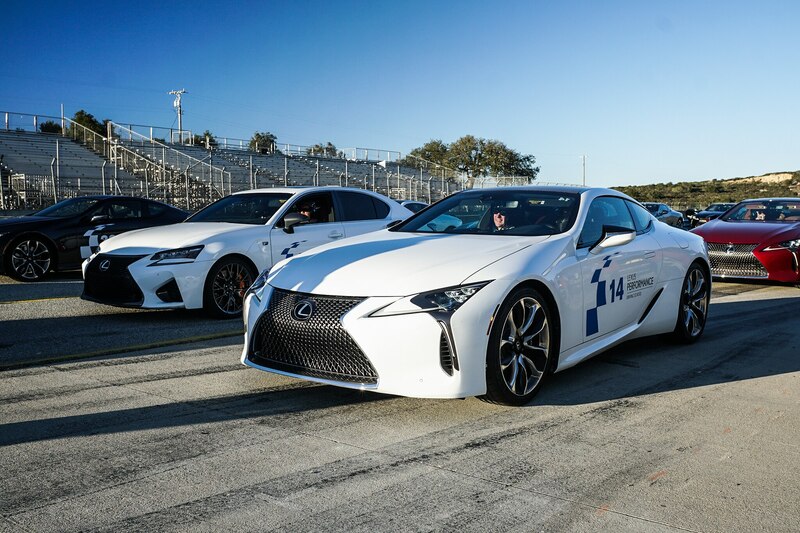 Their program takes approximately nine hours and incorporates two classroom sessions, a session on a skidpad, a timed autocross, on-track sessions, and hot-lap ride-alongs with pro drivers. 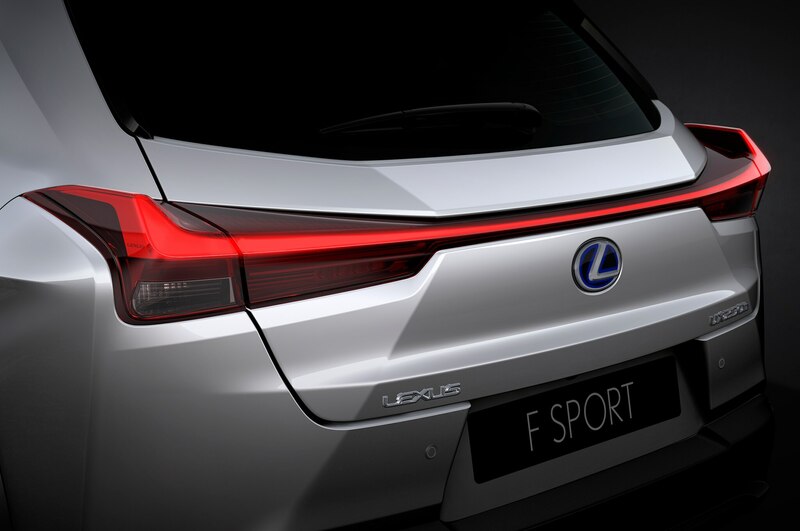 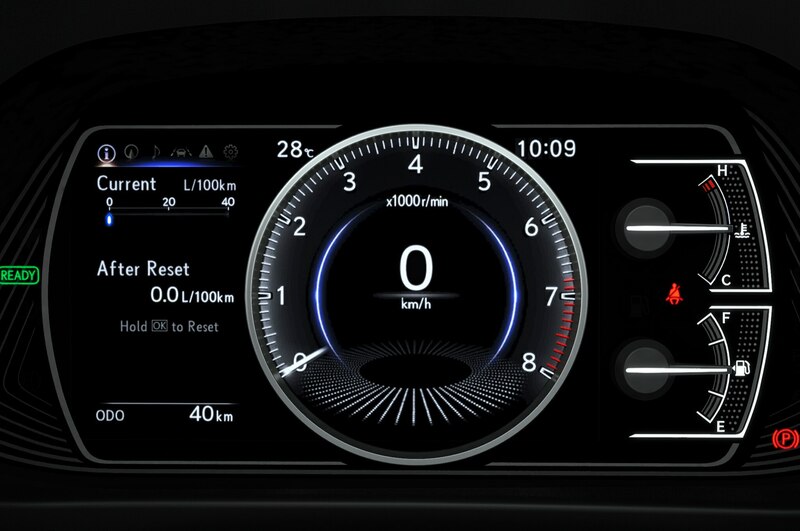 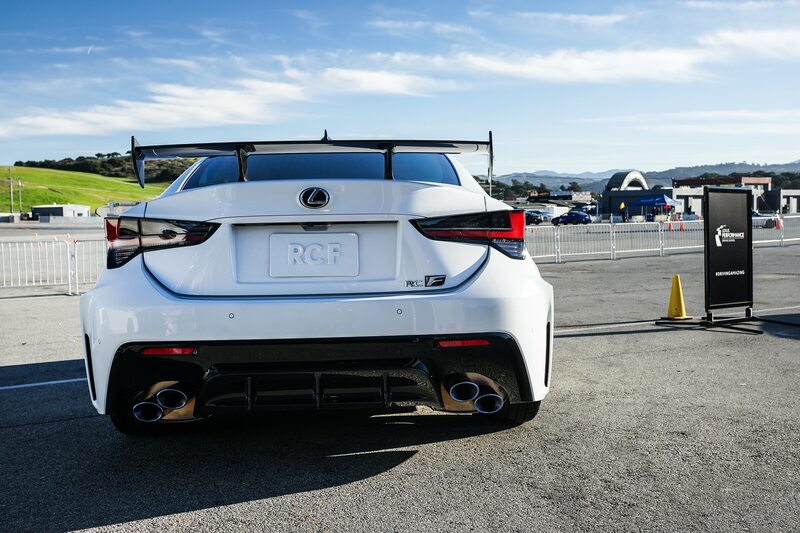 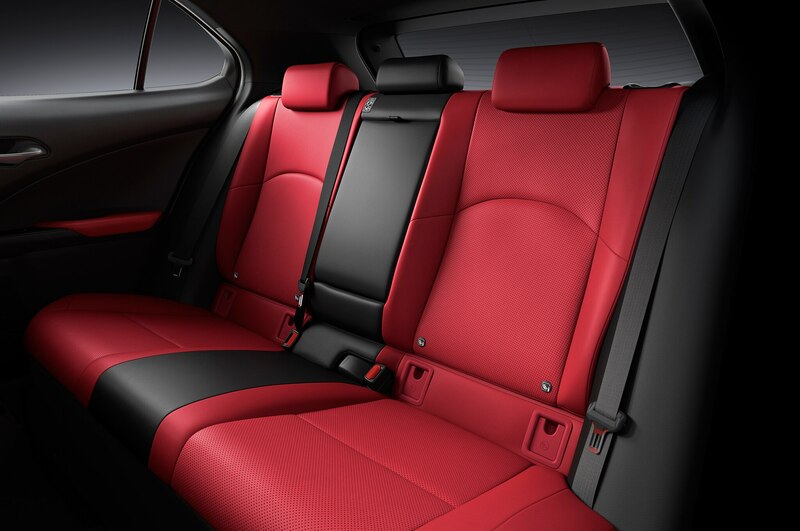 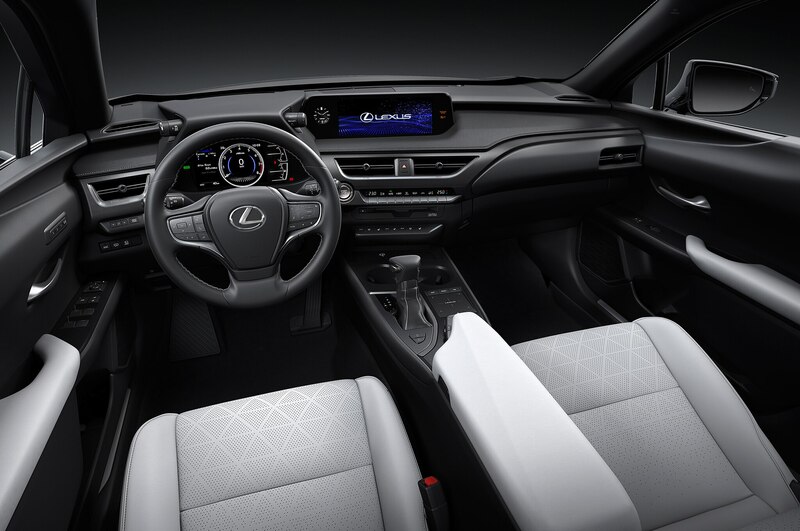 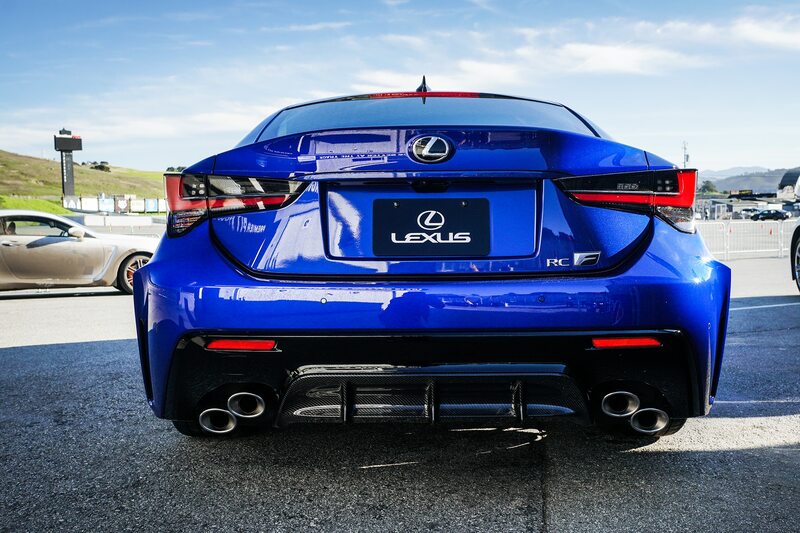 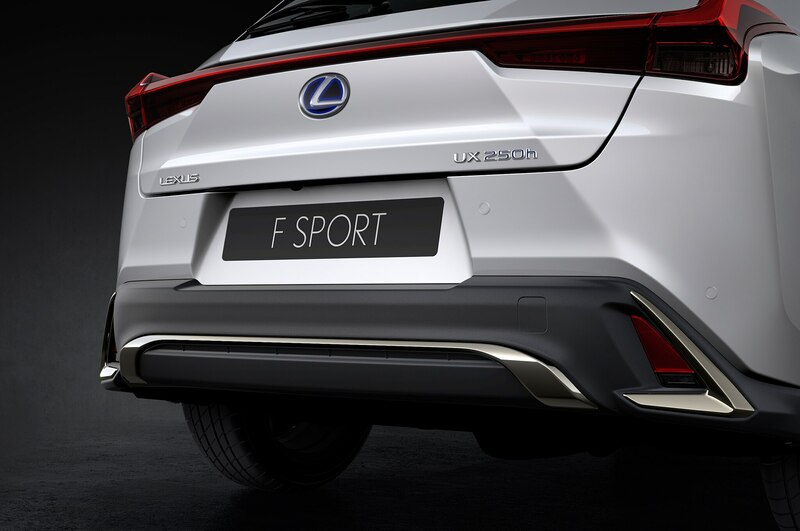 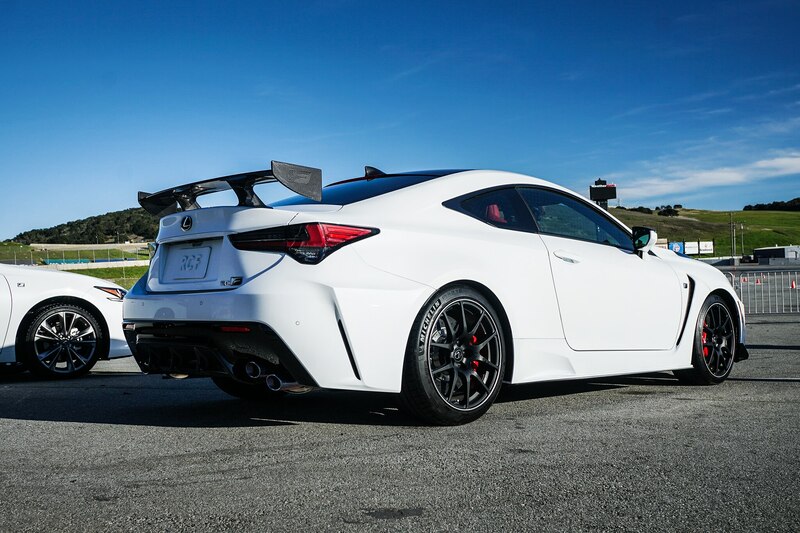 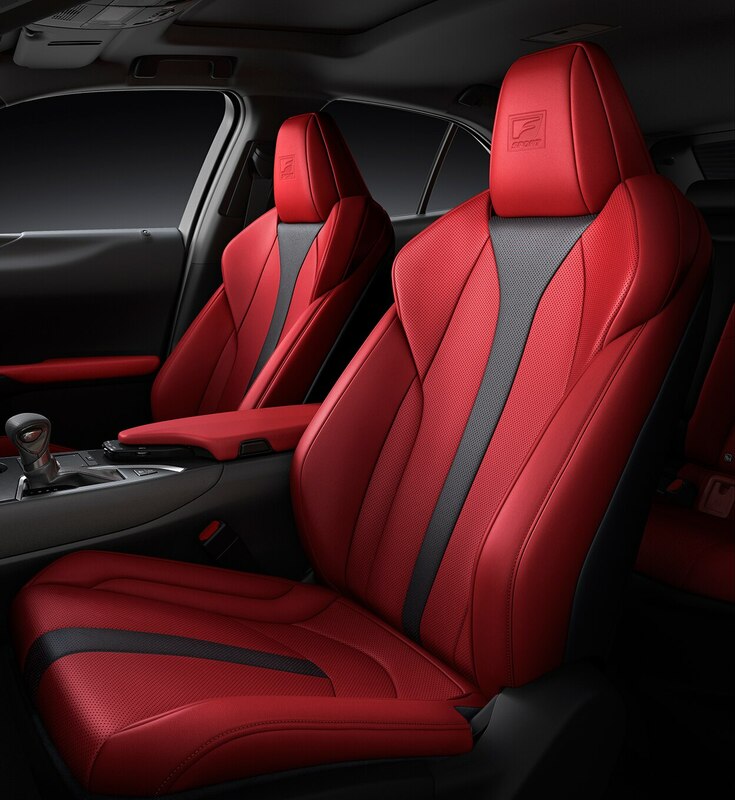 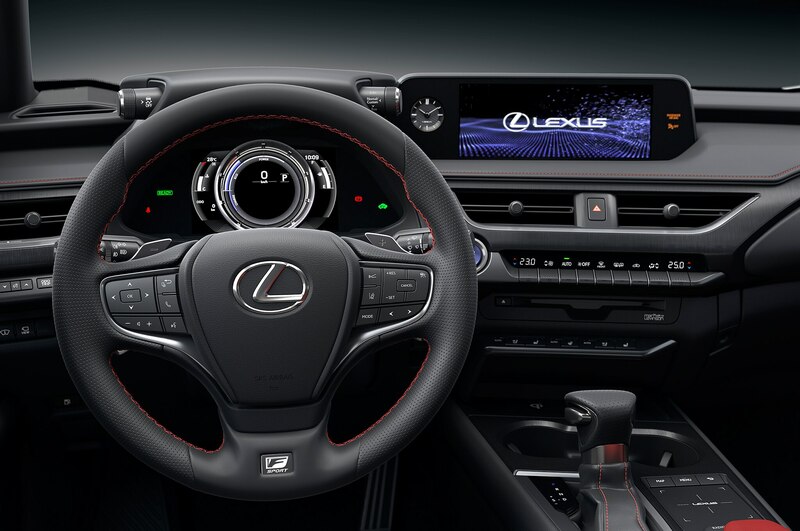 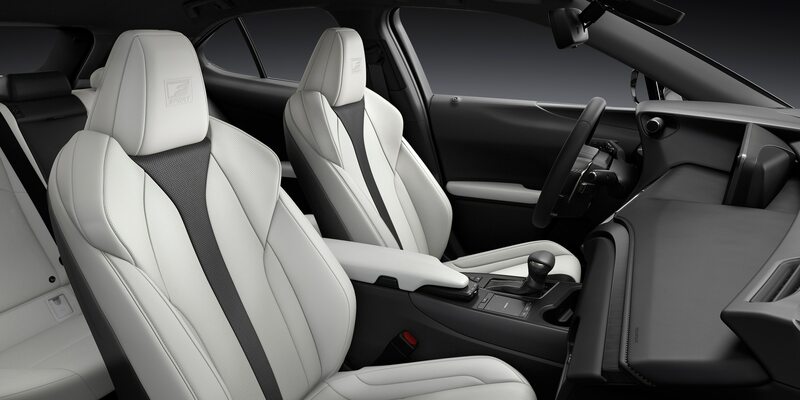 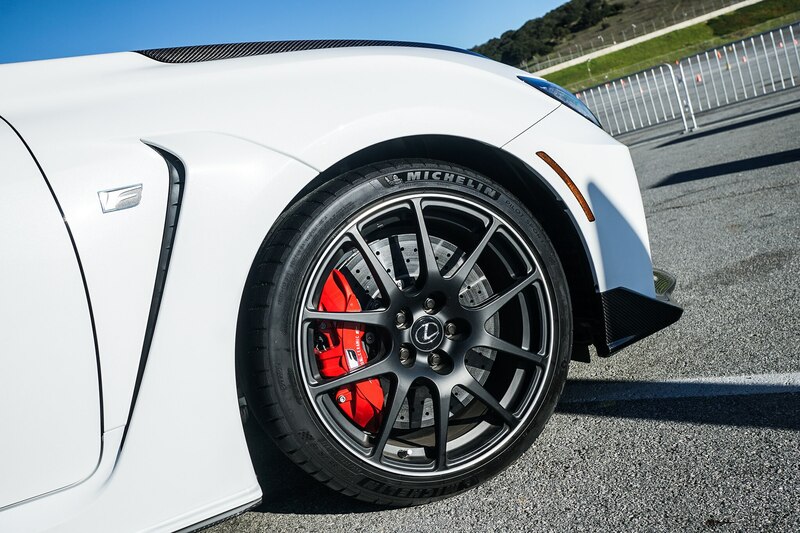 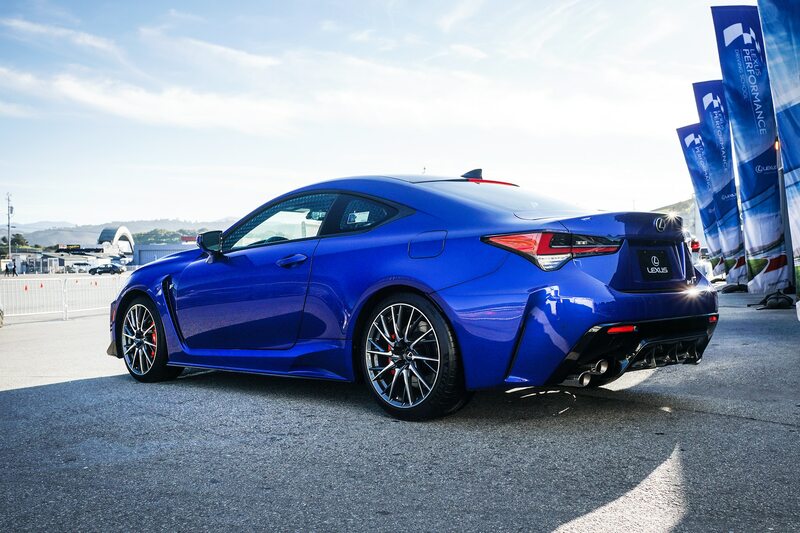 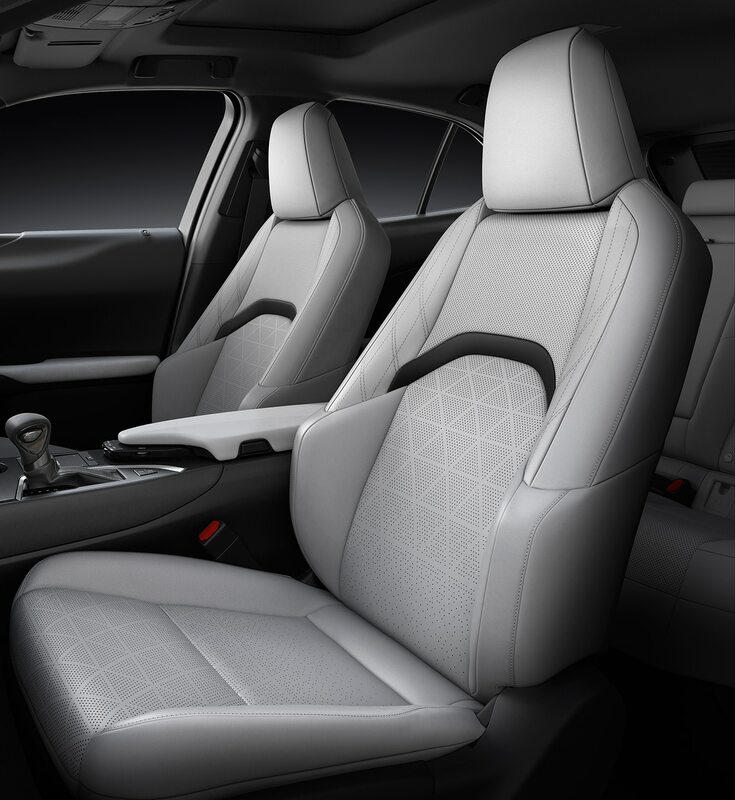 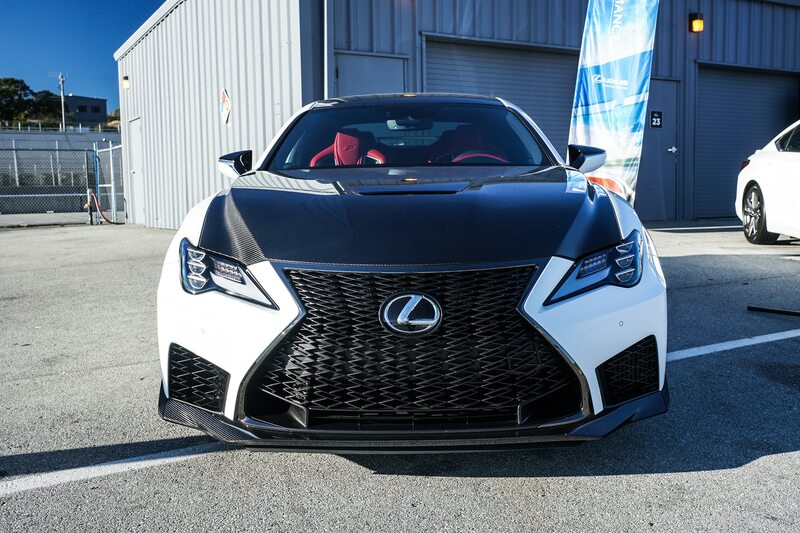 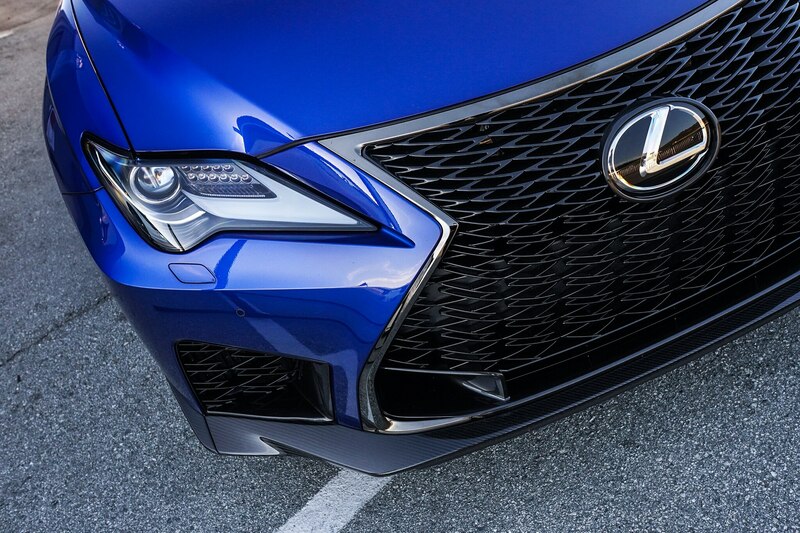 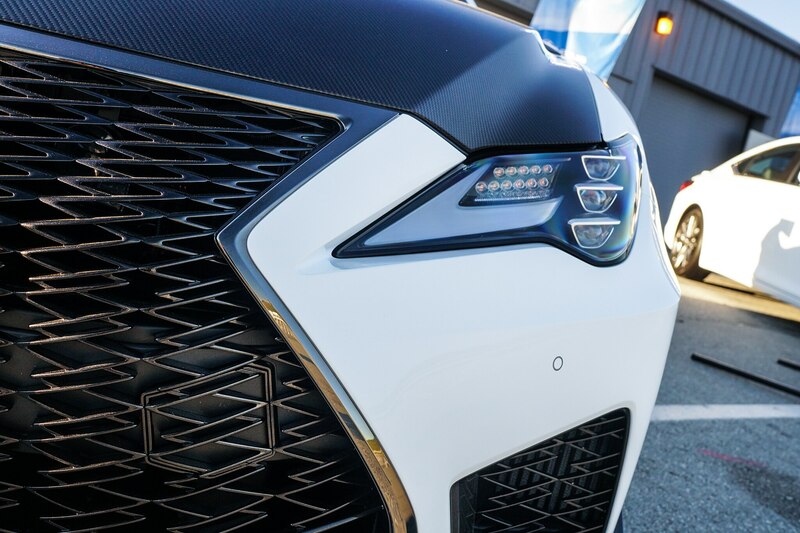 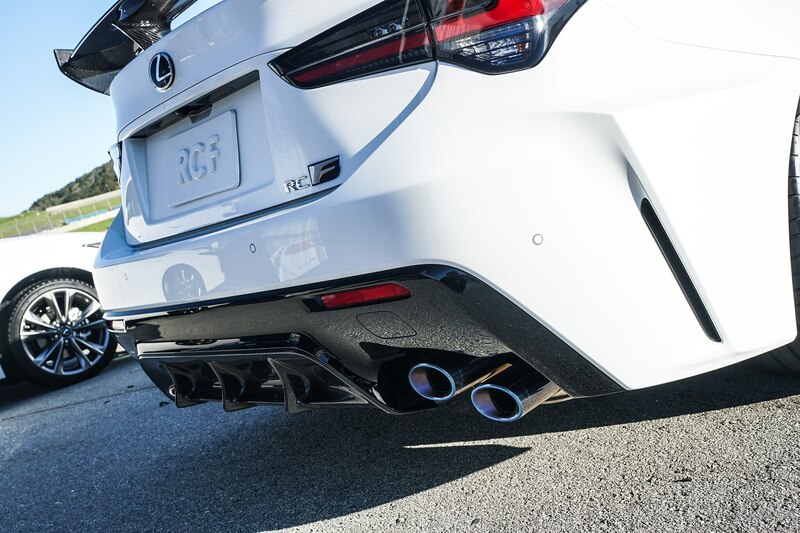 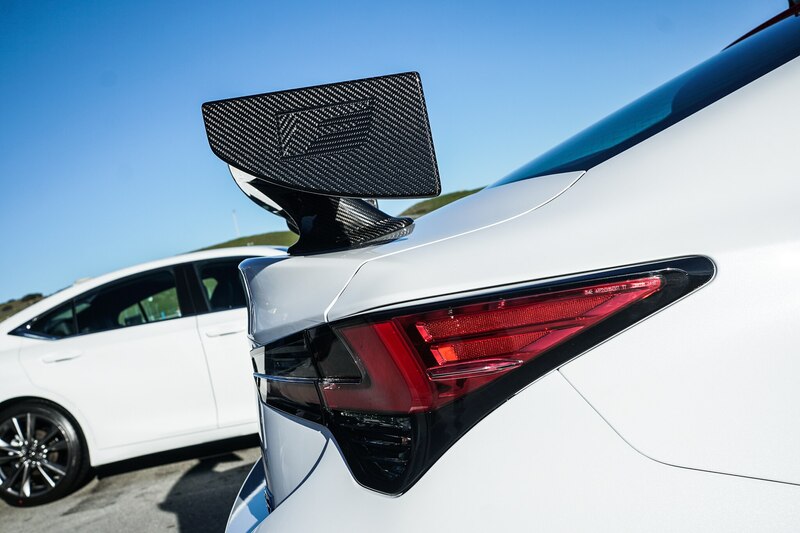 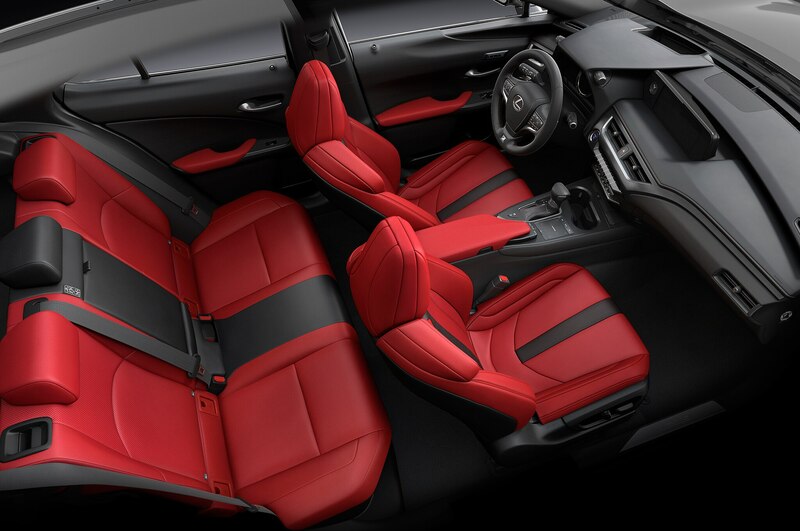 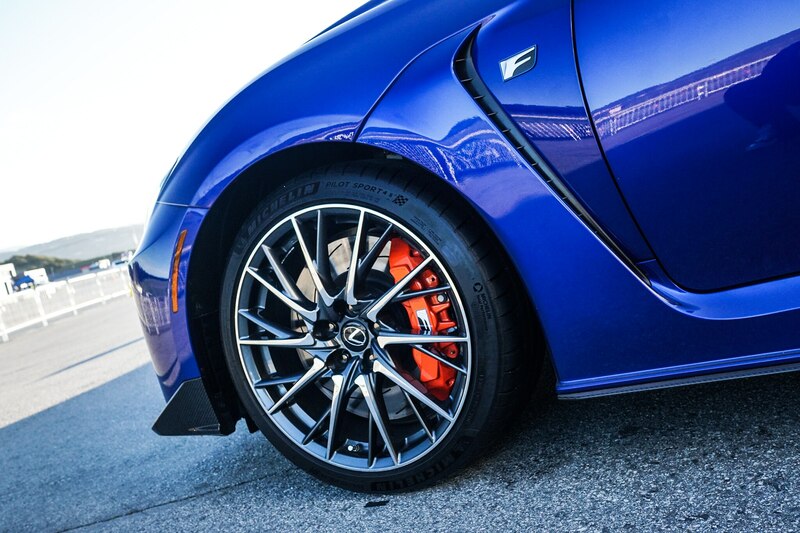 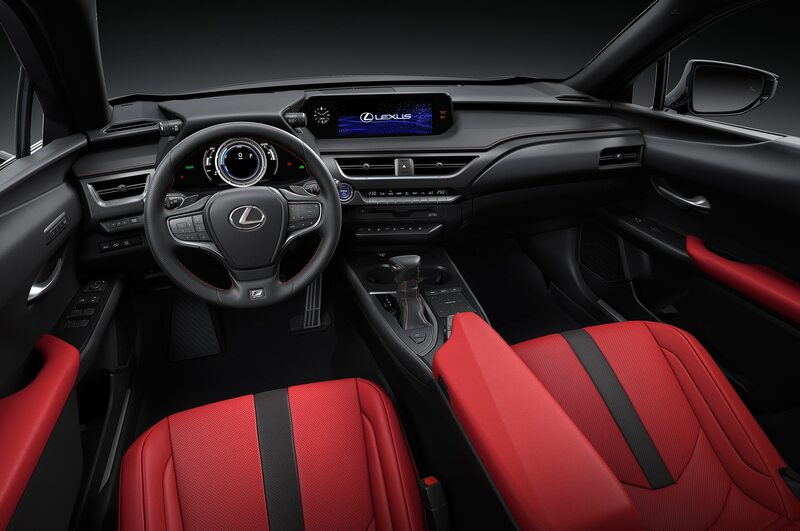 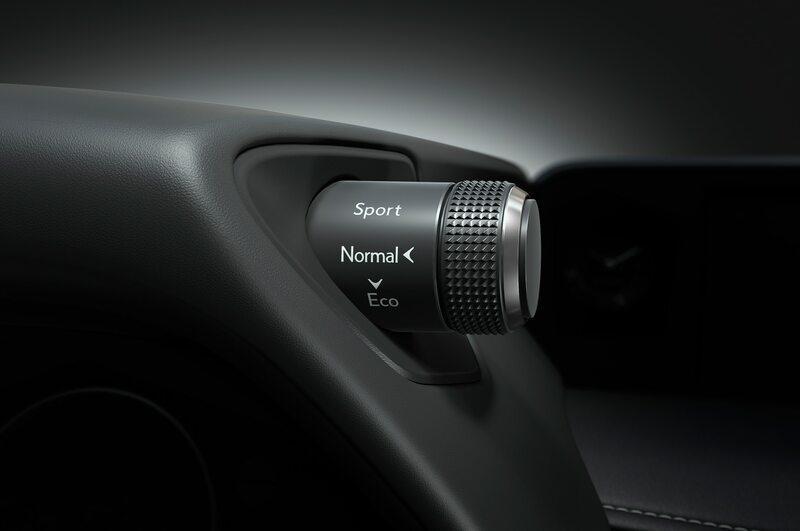 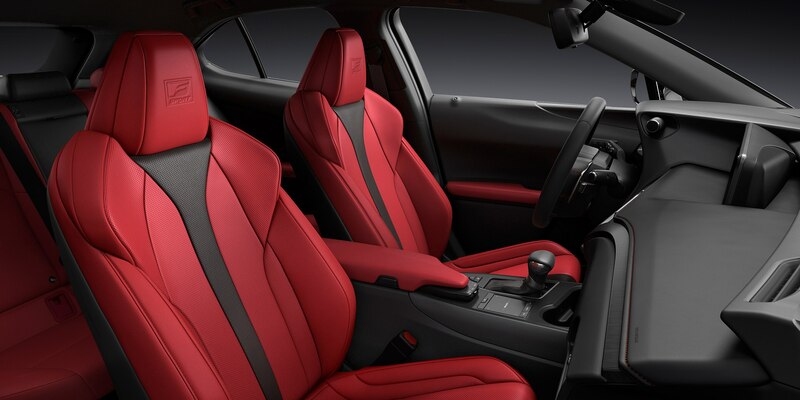 Three of Lexus’s top performance models (GS F, RC F, and LC500) are provided for students, all being strapped with a V-8 engine and capable of 450-plus horsepower. 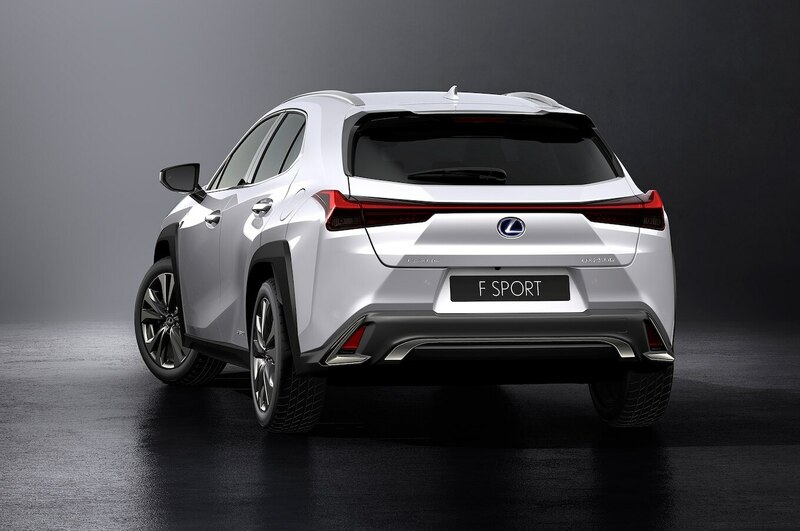 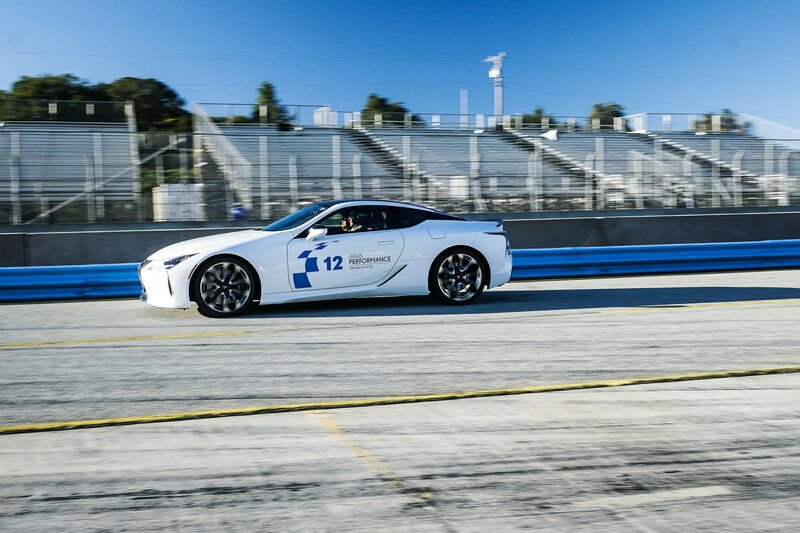 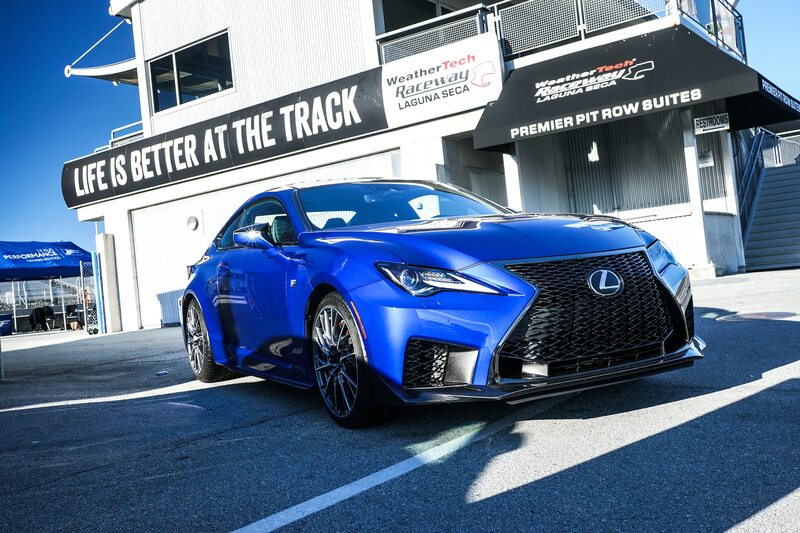 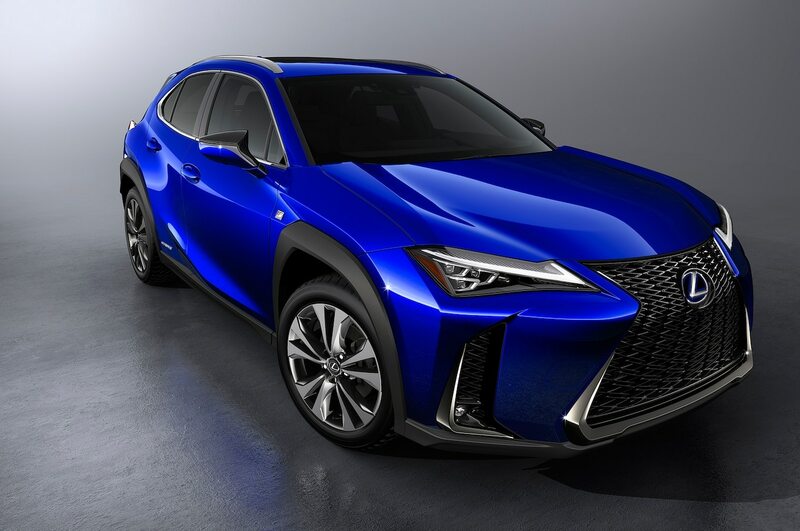 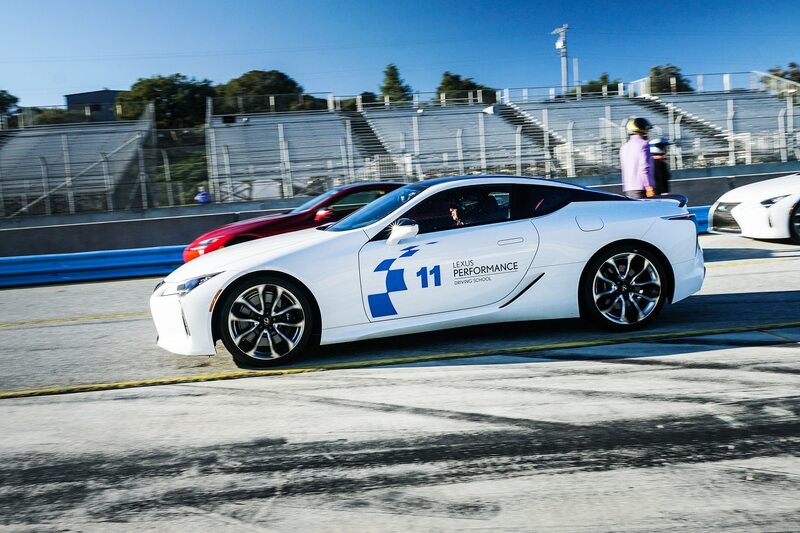 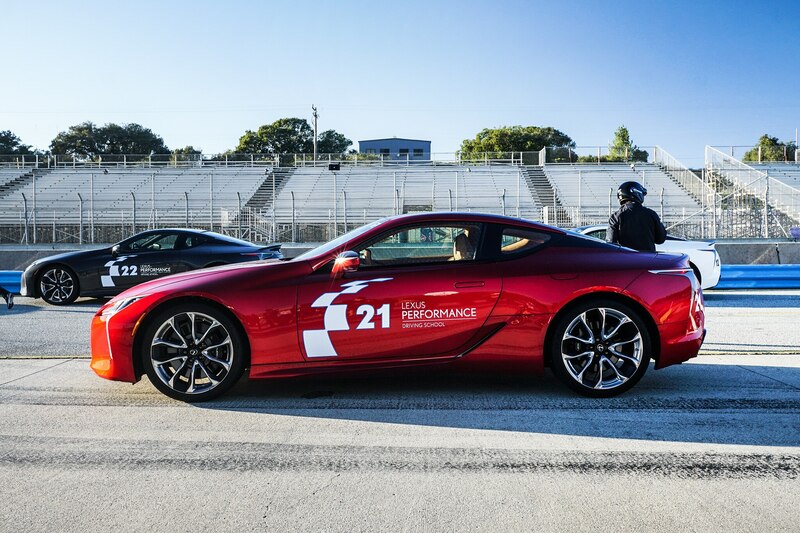 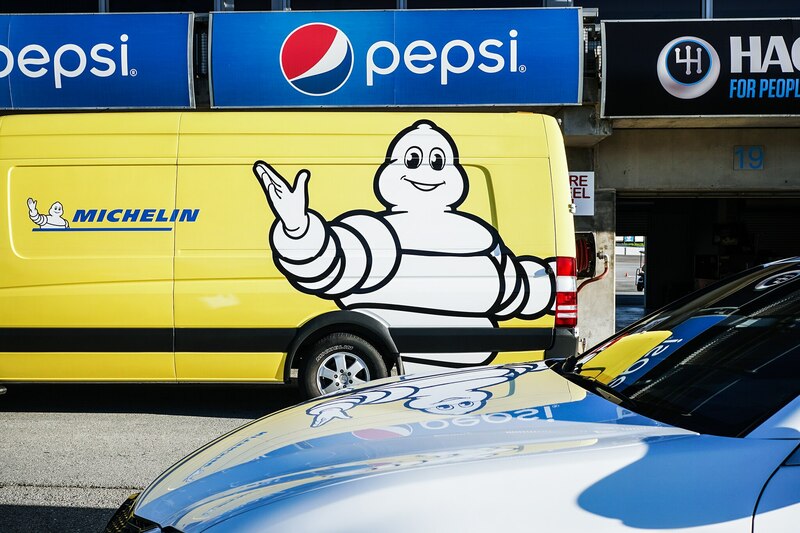 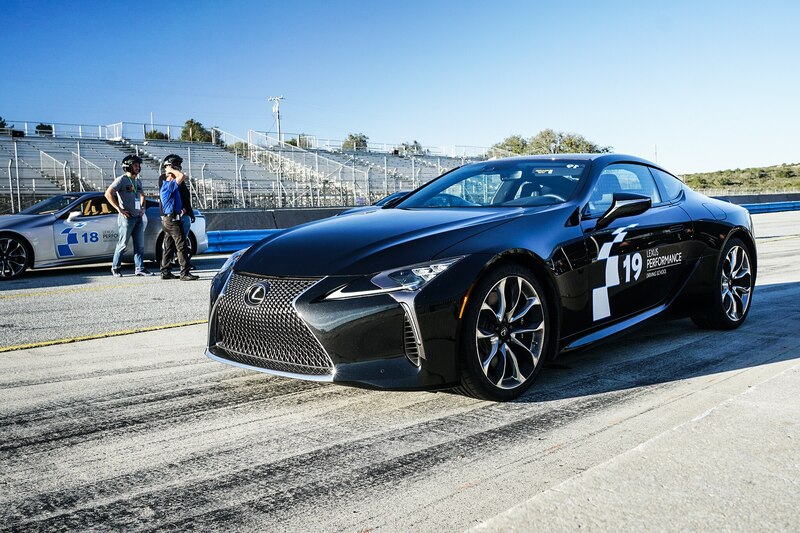 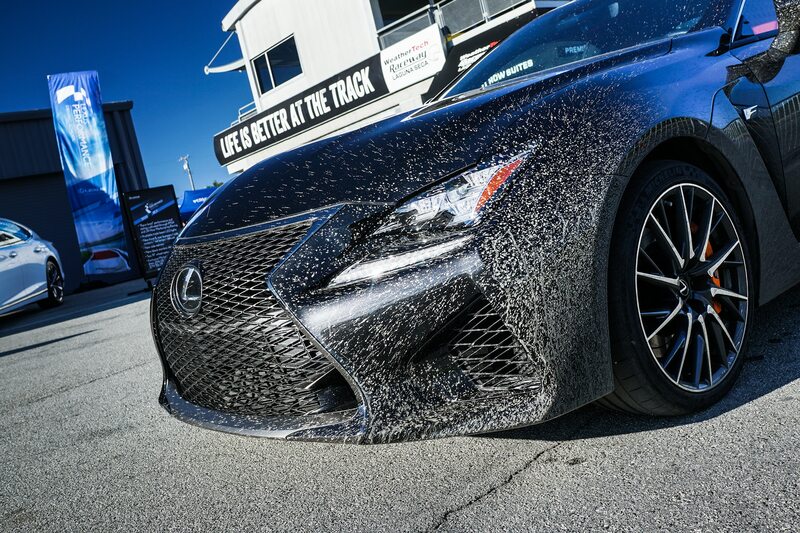 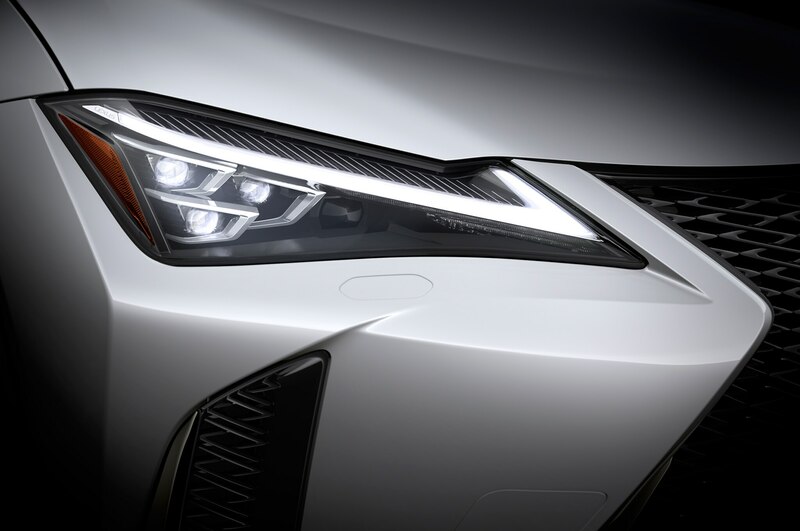 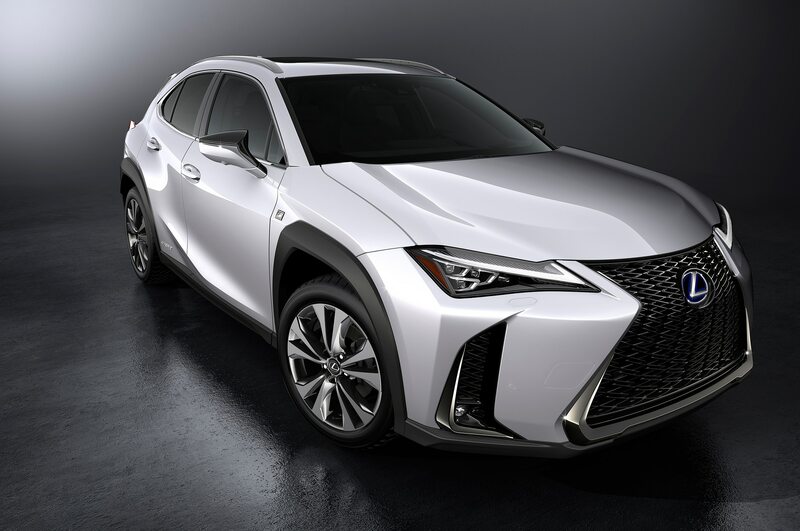 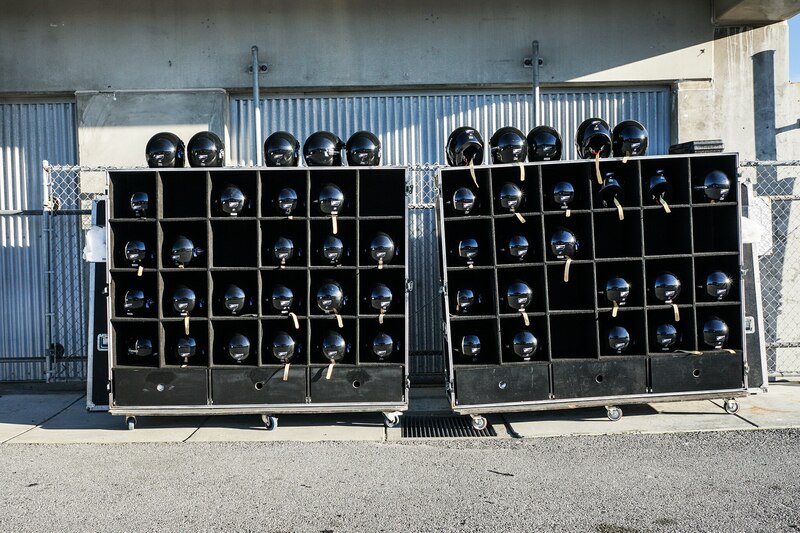 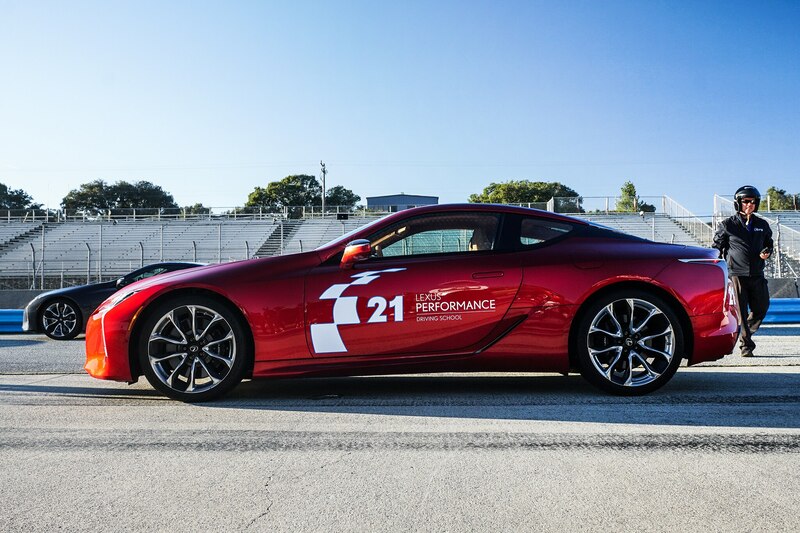 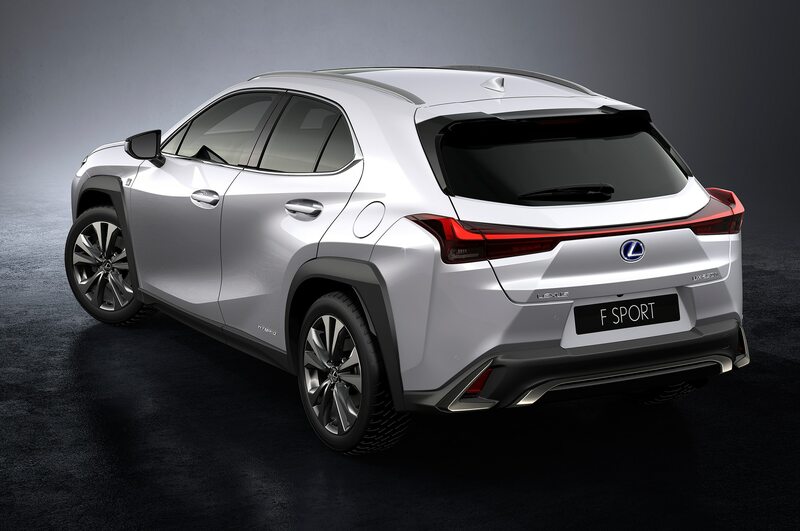 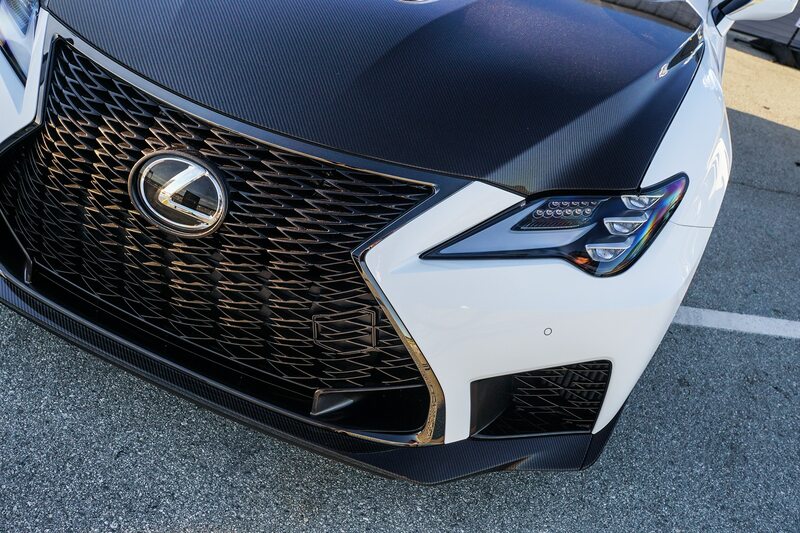 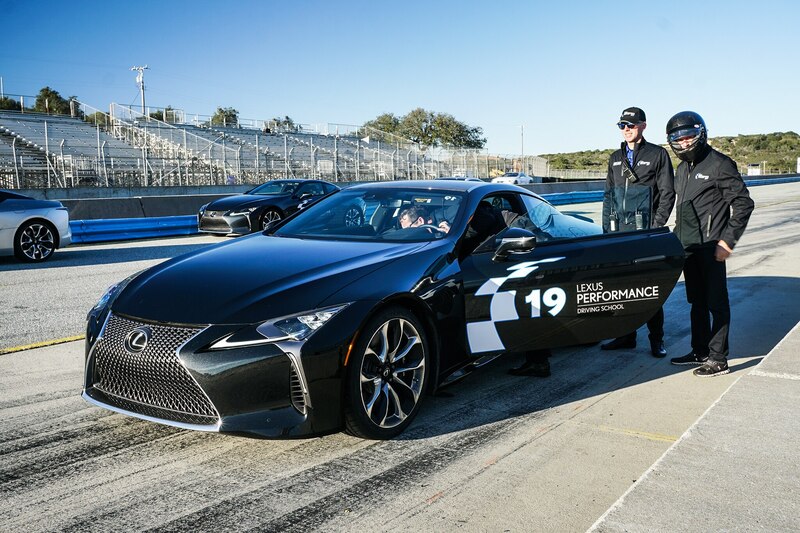 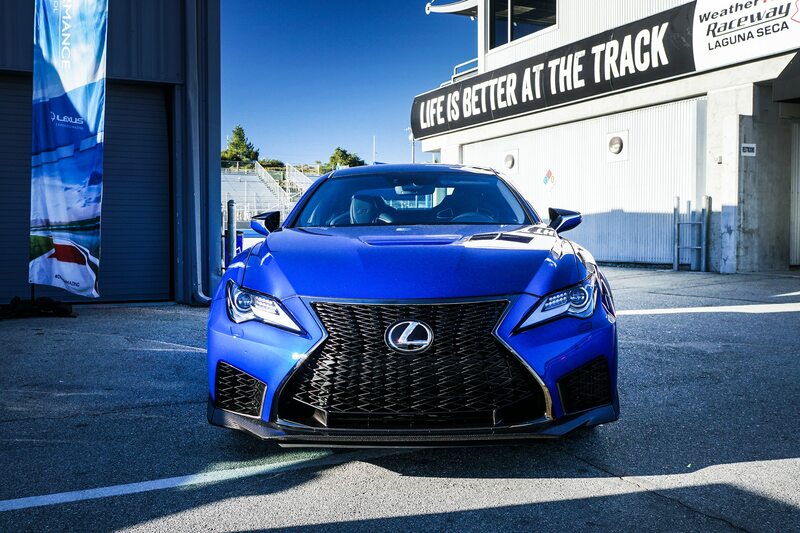 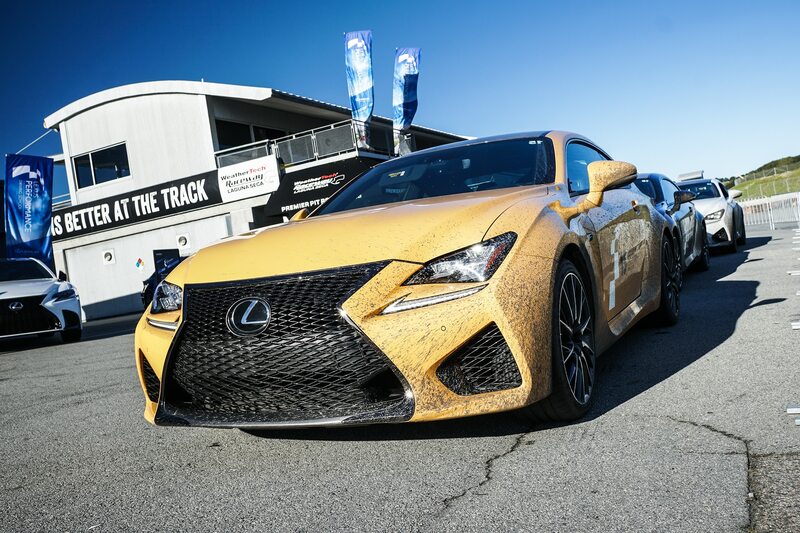 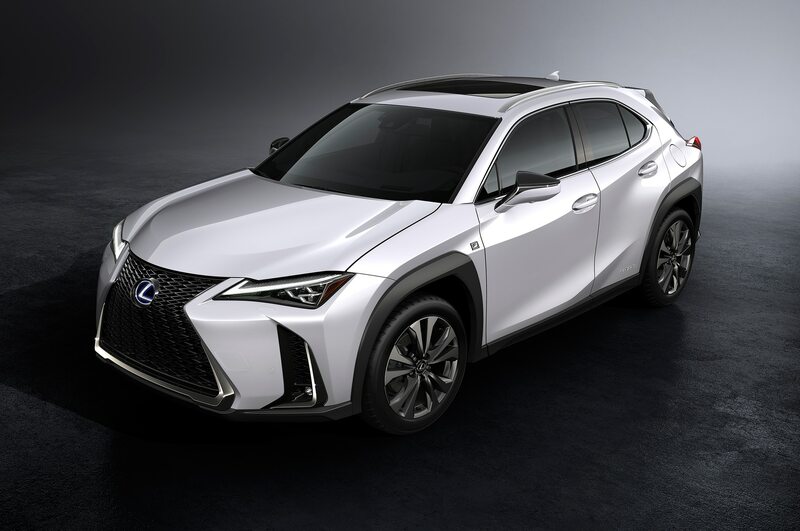 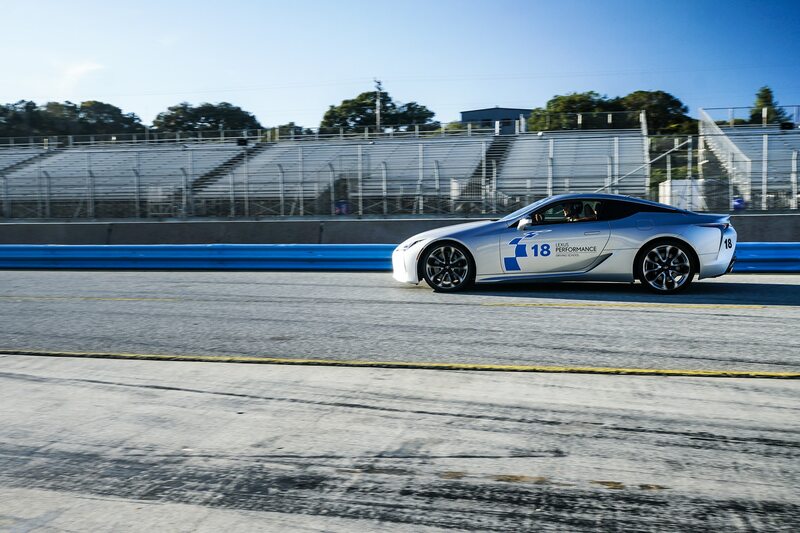 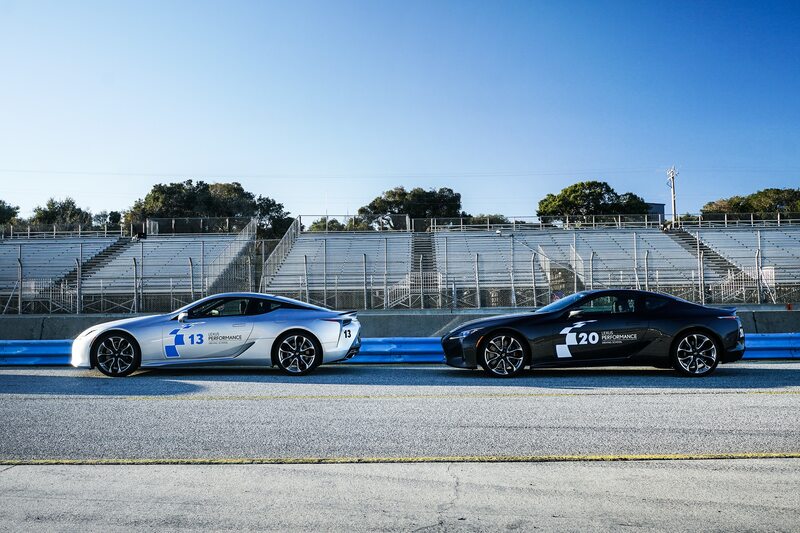 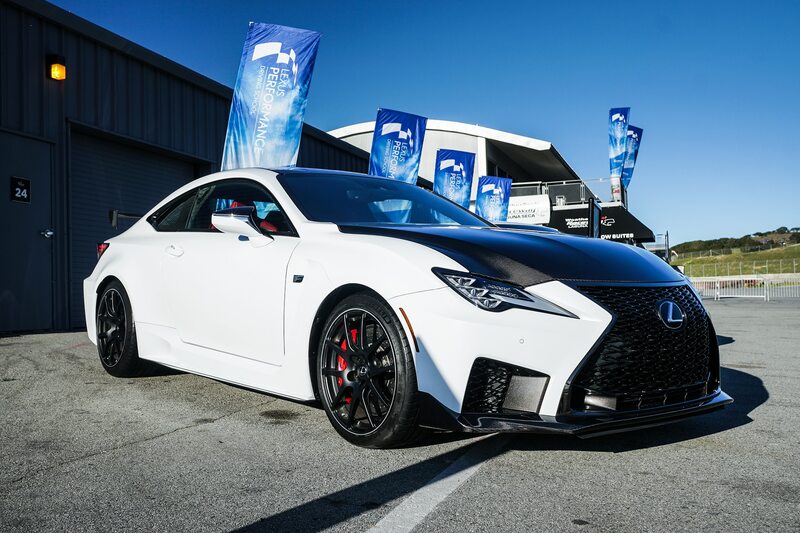 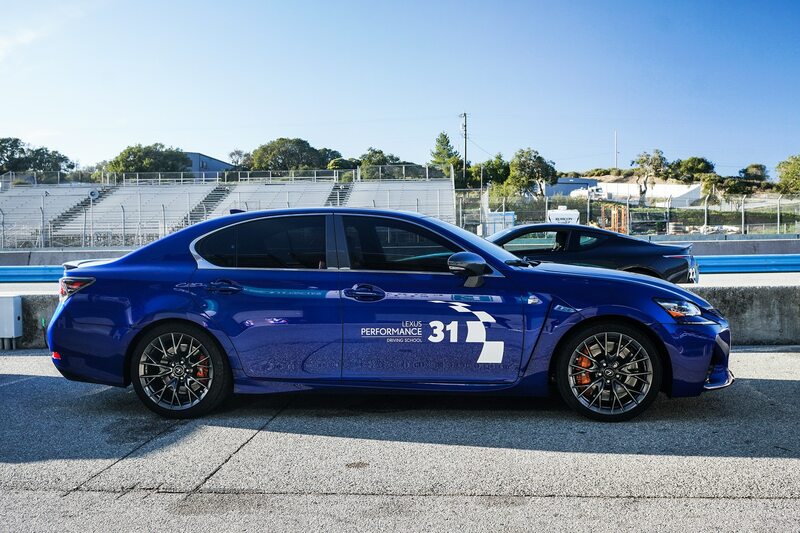 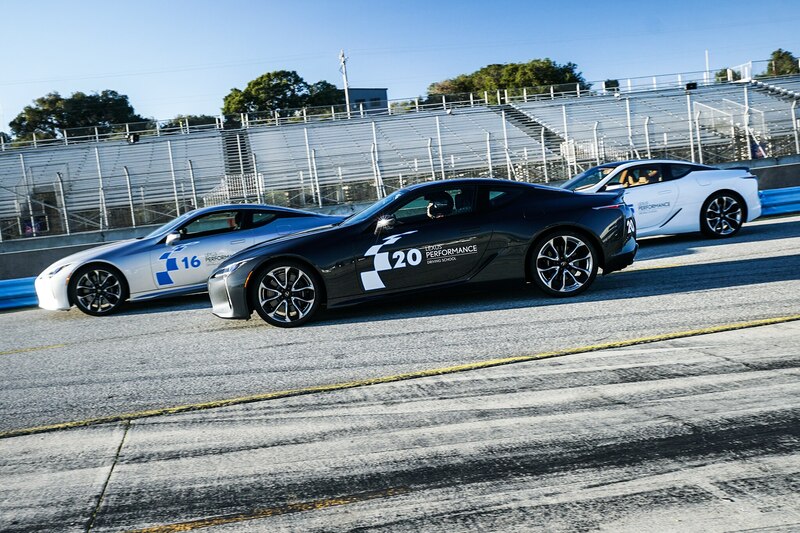 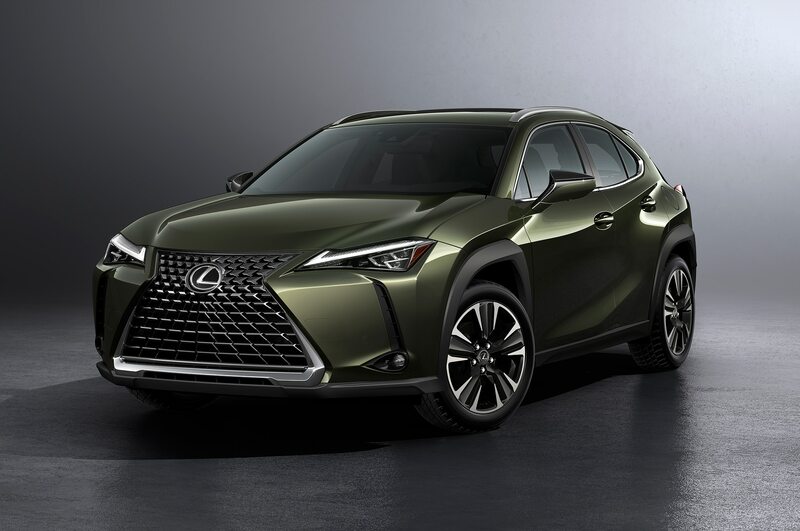 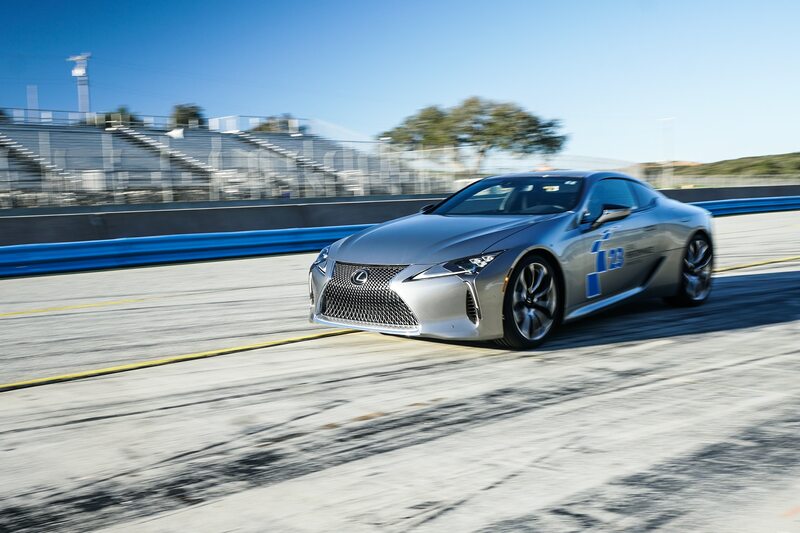 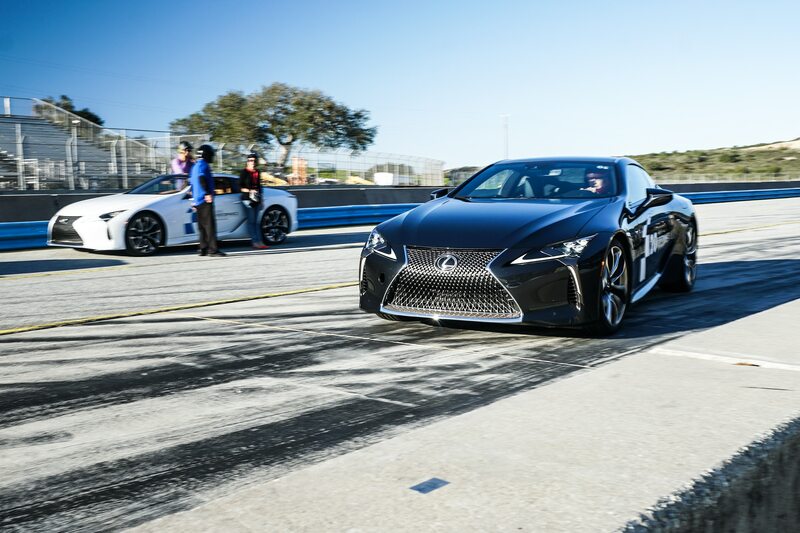 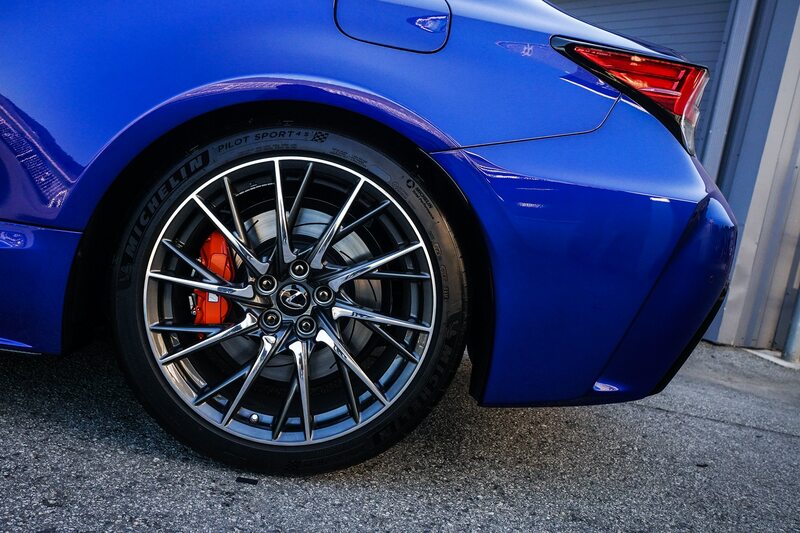 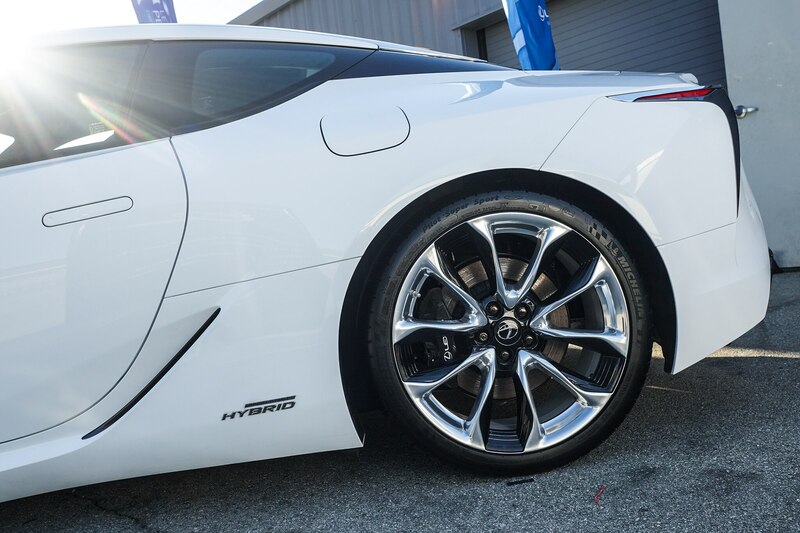 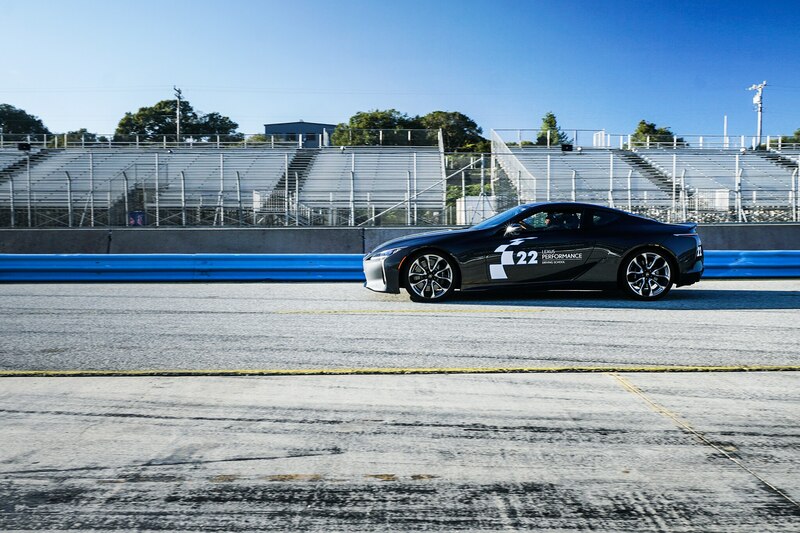 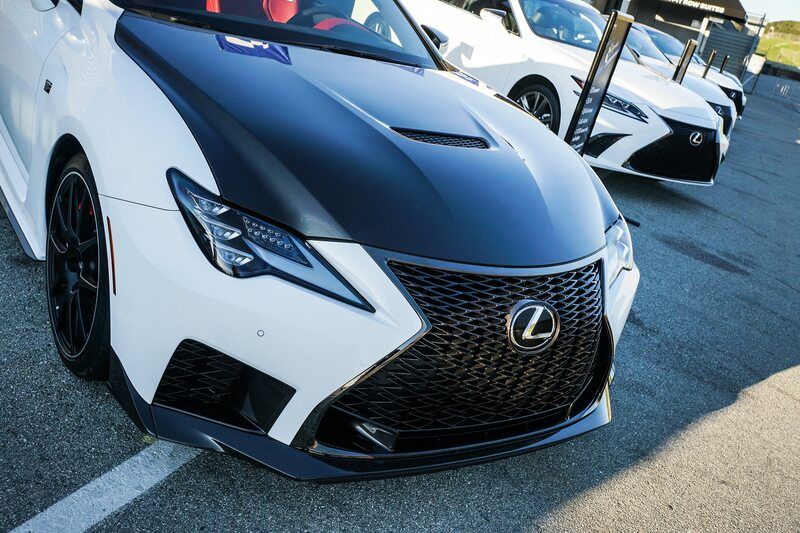 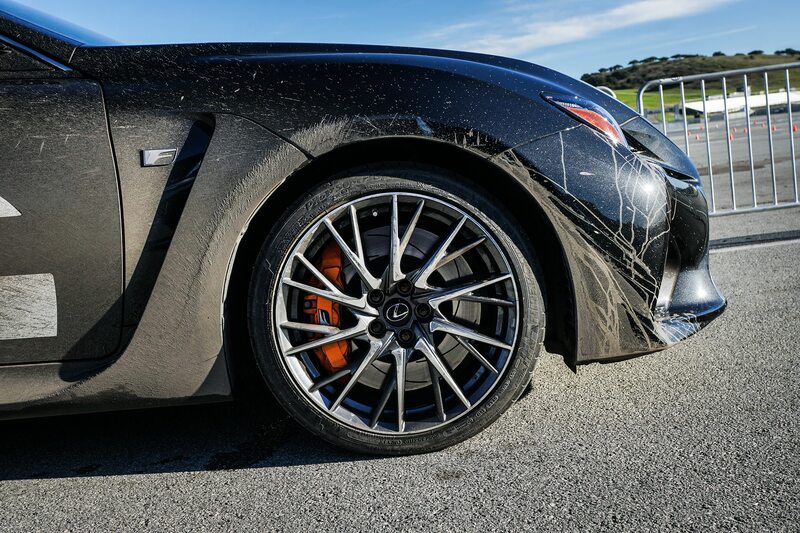 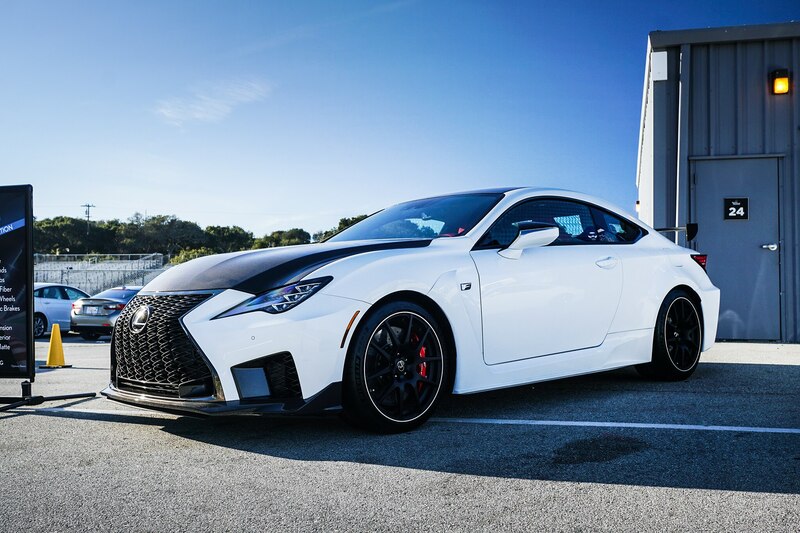 Sessions are often hosted by professional racer and Lexus brand ambassador Scott Pruett and taught at four renowned tracks that include Indianapolis Motor Speedway, Laguna Seca, Daytona International Speedway, and Monticello Motor Club. 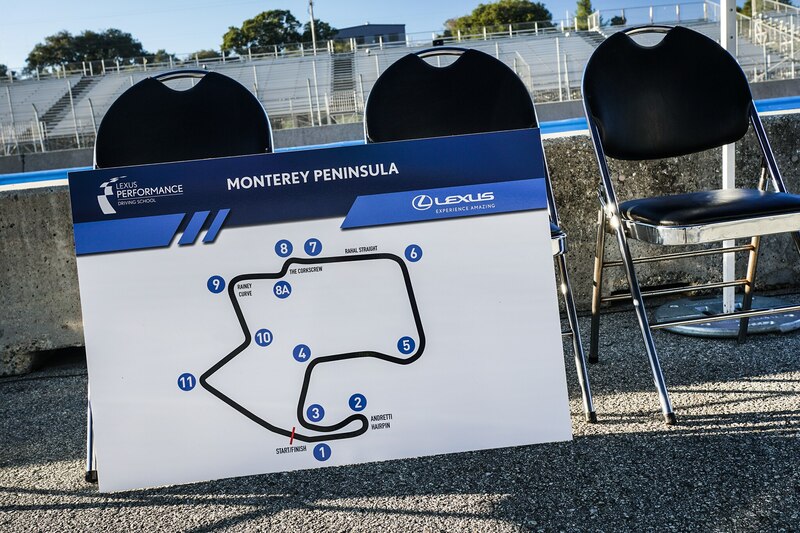 My session took place at Laguna Seca on the Monterey Peninsula, and while Pruett was unable to be present due to scheduling conflicts, his fellow racing icon and Indy 500 champion Danny Sullivan was a pretty good consolation prize. 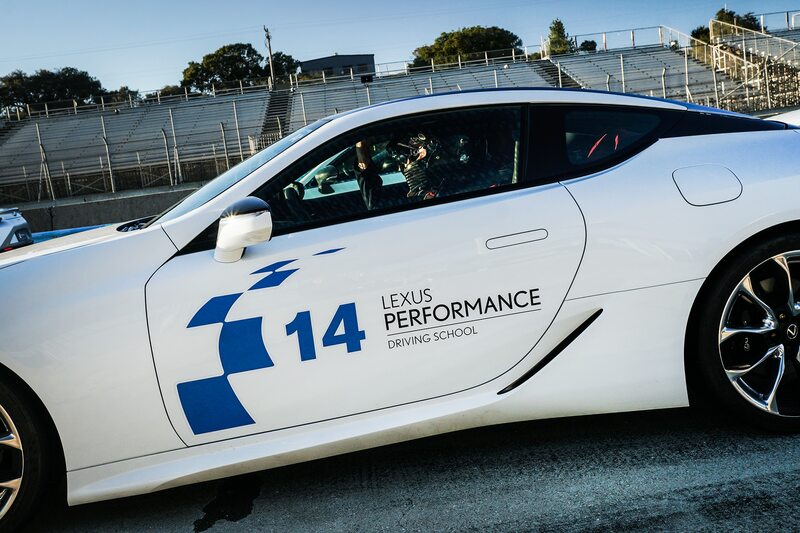 As at most every driving school, instruction began in the classroom. 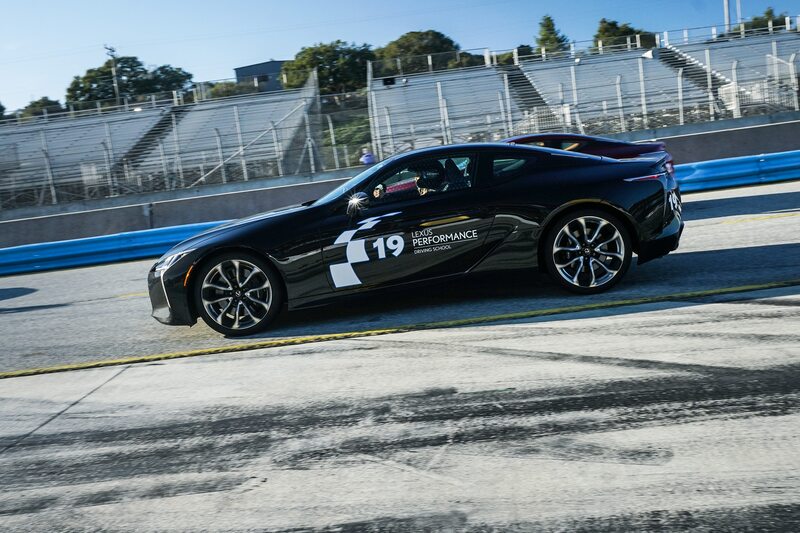 It was brief to give students more time behind the wheel, after which we were divided into groups and rotated on the track, skidpad, and autocross. 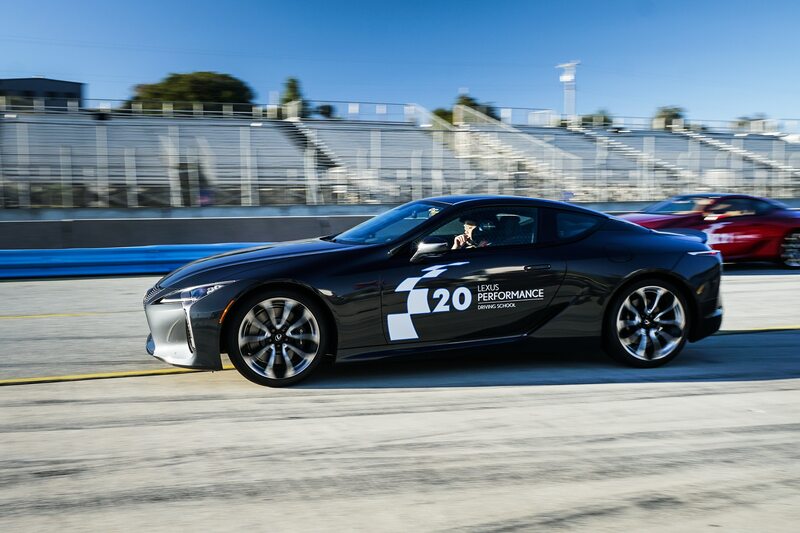 I hopped into an LC500 and started on the track to practice line technique and lead/follow basics. 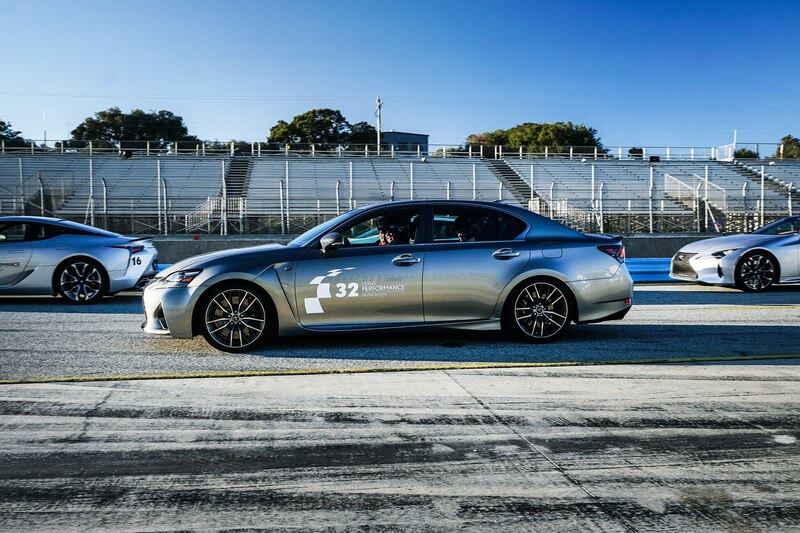 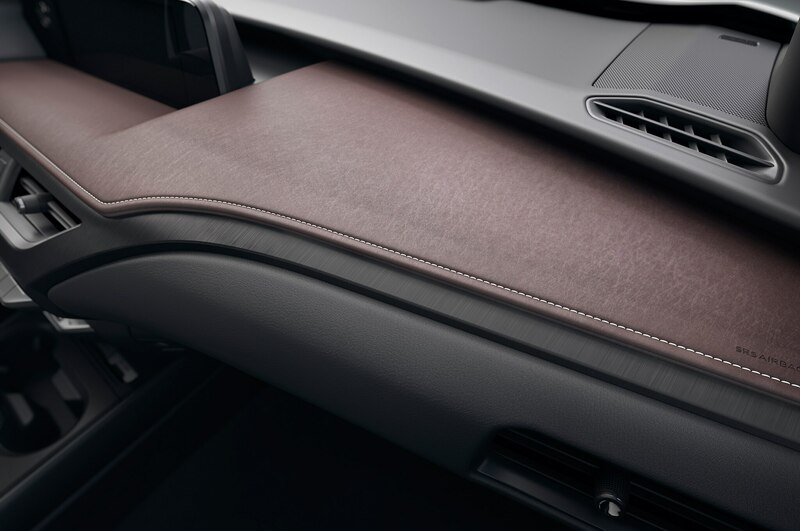 The rule of thumb during any level of track driving is to look where you want to go—i.e., scan the road beyond the car in front of you—so you have extra time to react to unforeseen situations. 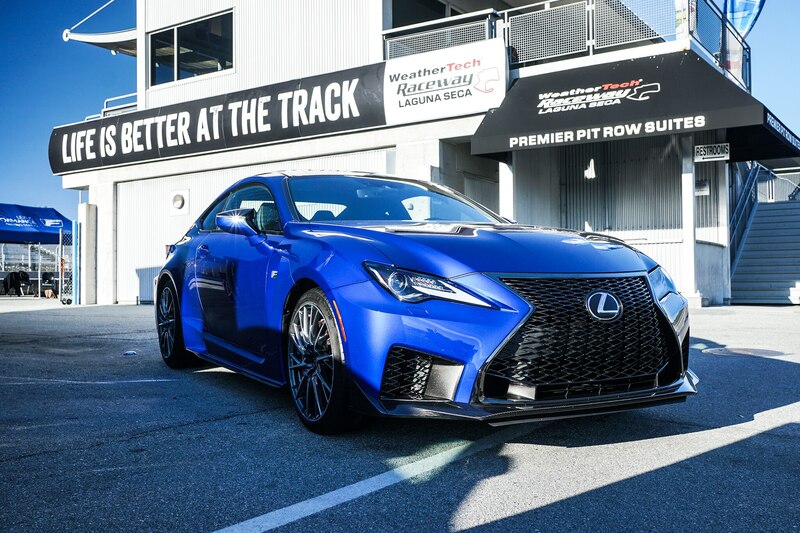 This doesn’t just apply to racetracks, of course; I once ran over a pile of two-by-fours that were scattered across the 110 freeway, which resulted in a tow to the dealership for costly tire replacement. 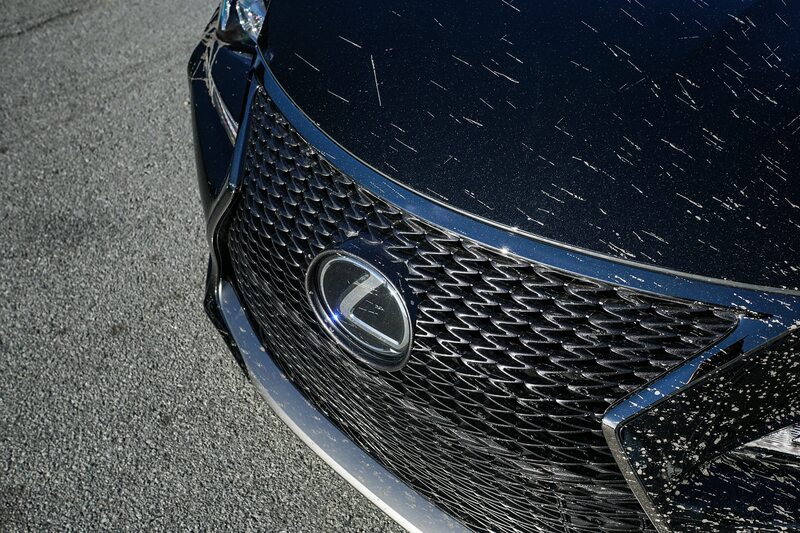 I wasn’t scanning the road ahead and thankfully nothing more serious happened. 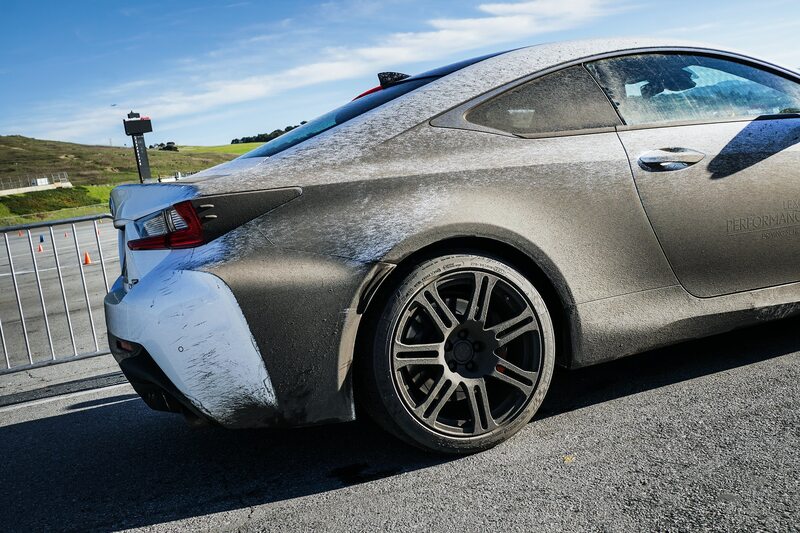 We then proceeded to the skidpad, where the idea was to learn how to correct oversteer—when the rear of the car steps out—and understeer—the front of the car exhibiting reluctance to turn as much as the driver intends—by using the CPR method (Correct, Pause, and Recovery). 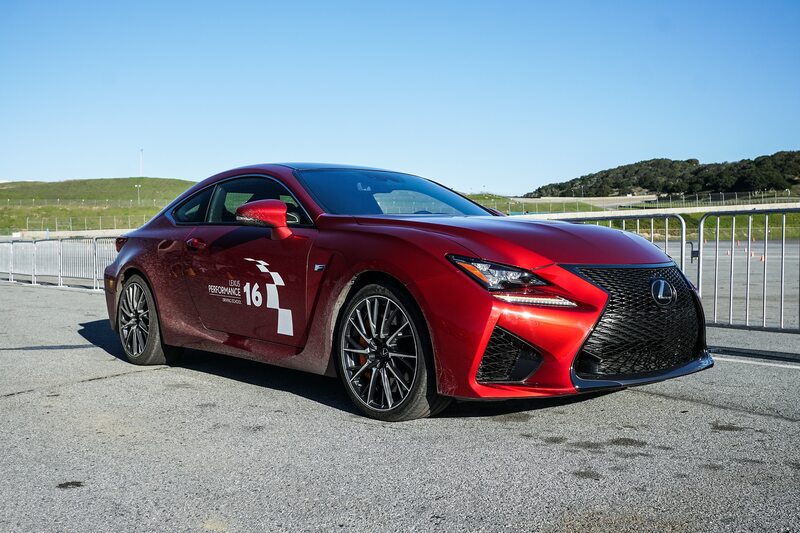 There was also a drifting session, where I exhibited an entertaining inability to hold the car sideways, but did manage to perform a pretty awesome 360-degree spin in a RC F.
At the autocross course you can apply lessons from the other sessions in an attempt to set a top time against the other students. 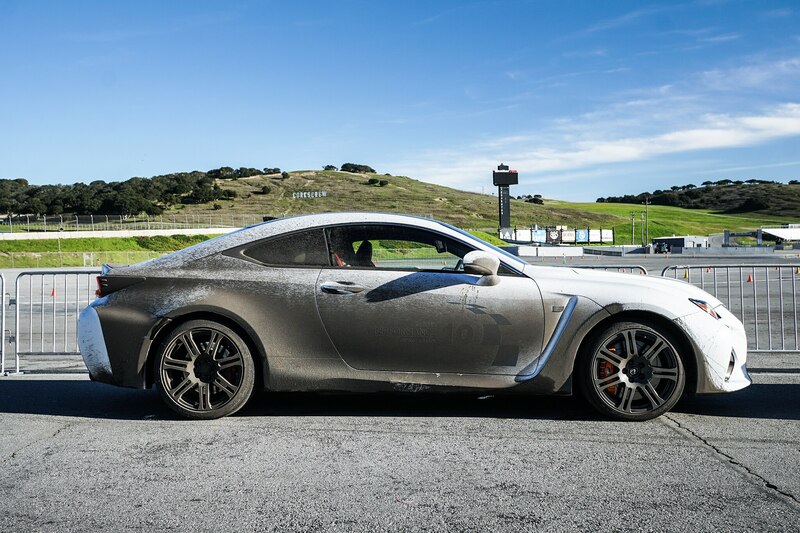 I acquitted myself well in the big, heavy GS F, setting a competitive time, but my finishing place mattered less than the fun I had behind the wheel.